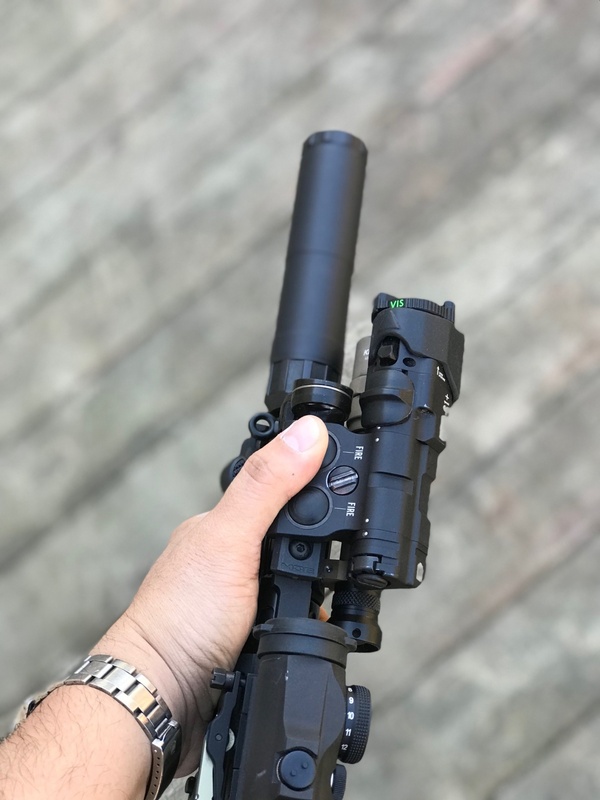 In the world of night vision, most people use some sort of aiming device. 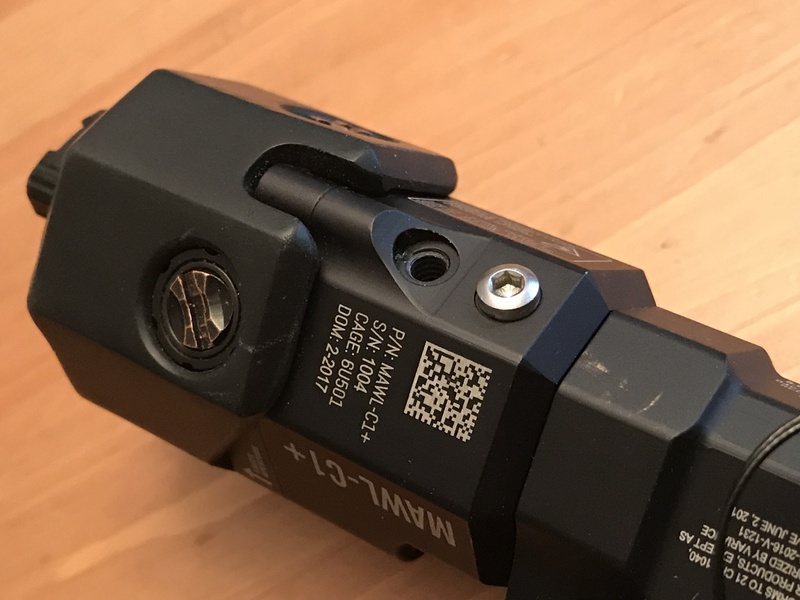 While you can use a red dot sight, there are issues with getting helmet mounted NOD (night observation device) behind the optic to aim. So lasers are the key, specifically infrared lasers. B.E. Meyers has been making lasers for the military starting with the IZLID during Operation Enduring Freedom and Operation Iraqi Freedom. Well, they have taken their laser technology and developed the weapon mounted MAWL (modular advanced weapon laser). They make the Class III MAWL-DA which is restricted to military, government and law enforcement sales only. We were sent the civilian legal version, the Class I MAWL-C1+ for review. Let’s get the price out of the way first. The MAWL-C1+ is not cheap. It retails for $2500 and while you may have sticker shock, believe me when I say I once thought the same thing. “What makes the MAWL-C1+ worth so much?” I have seen people claim that the MAWL is like no other. And yet they haven’t quantified or explained why it is better than the competition. 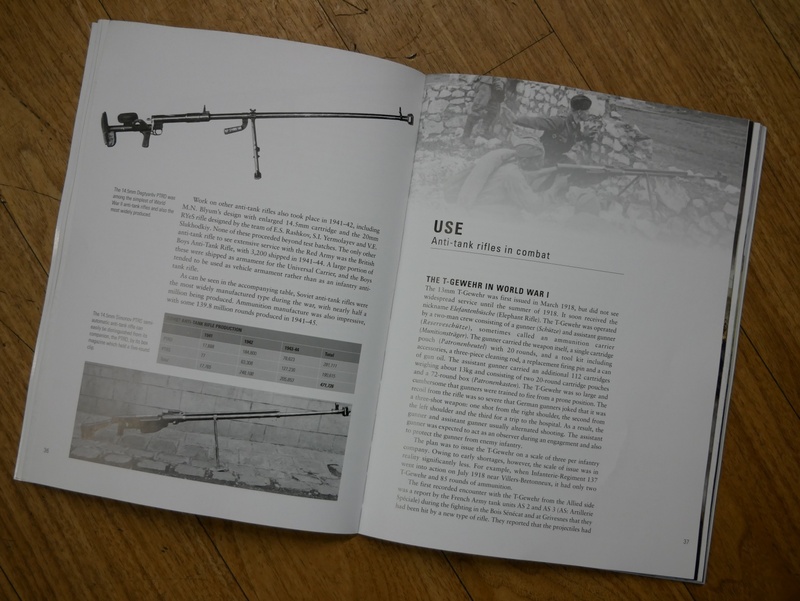 Most common IR weapon lasers cost half as much as the MAWL. If you can get them, full power restricted IR lasers still do not cost as much as the MAWL. After talking with Chris Danks of B.E. Meyers he understands this hurdle with the MAWL-C1+ so he arranged this loaner MAWL to be sent for review. Seeing is believing. The MAWL-C1+ is hands down better than all the other lasers out there, well except for the MAWL-DA, B.E. Meyers full power version of the MAWL. Here is a video I shot with the help of my friend J.W. He brought out his collection of weapon lasers and really showed me why the MAWL beats them all. What sets the MAWL-C1+ apart is the illuminator. 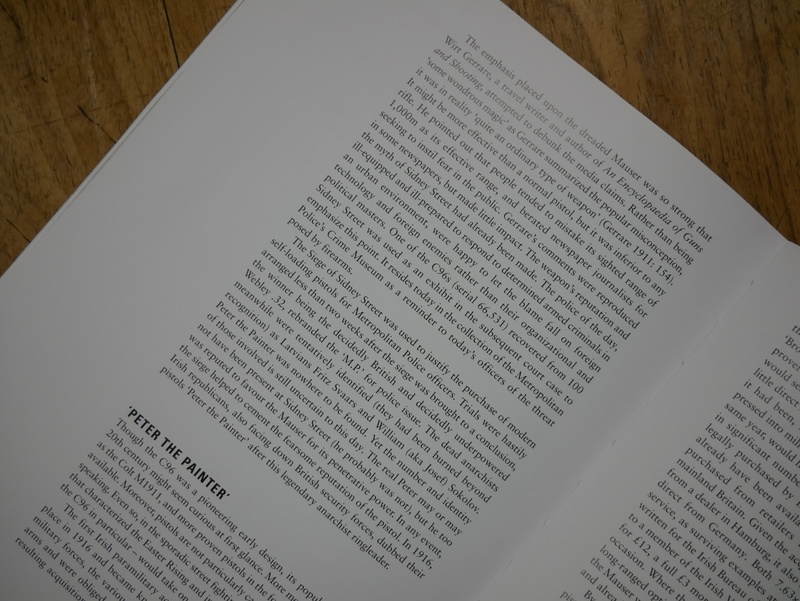 As you saw in the video above, the other laser illuminator beam patterns were dirty looking and in some cases unusable. 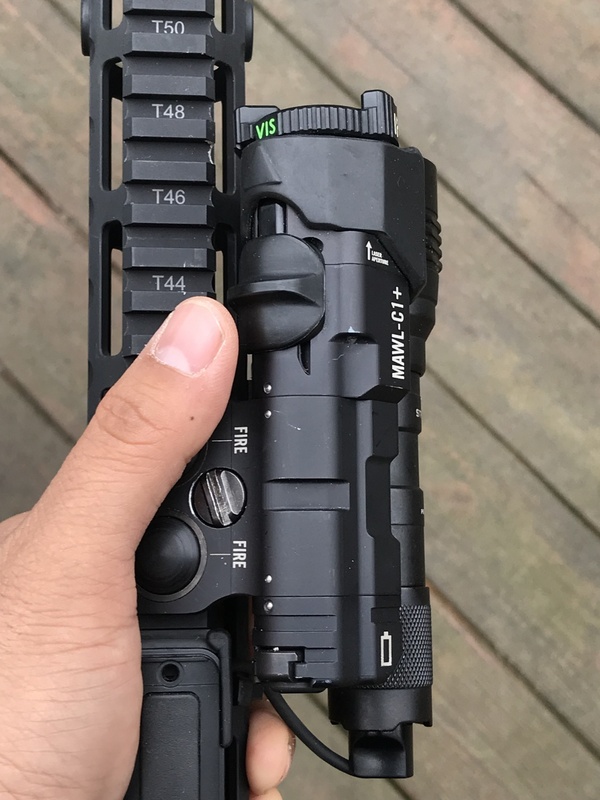 Before using the MAWL, I thought I was set with IR illumination. I have Surefire Vampire Scoutlights and while they do work they do not illuminate at distance. From about 50 yards and in, the Scoutlight works well. But if you need to illuminate something further out then you will have problems. 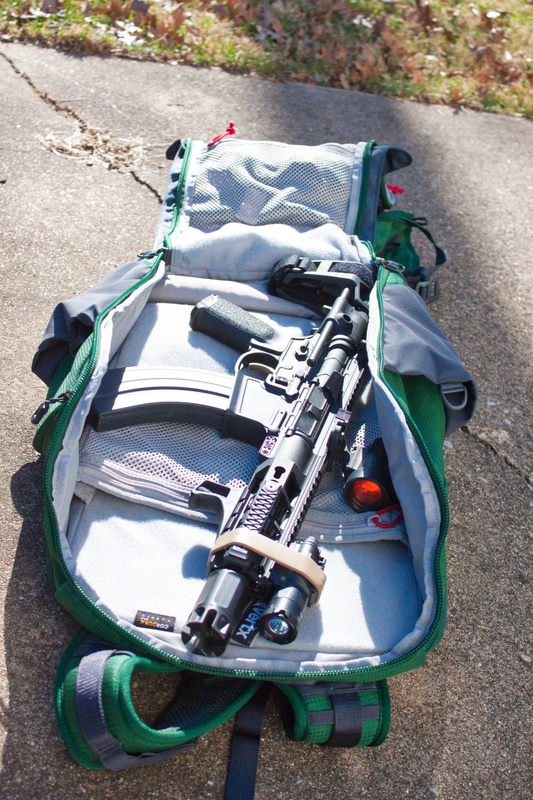 The MAWL can punch its illuminator out to 300 yards and effectively light up the darkness. But I’m wearing night vision how can there be darkness? Easy, ambient light from street lights and lights of houses etc causes shadows. My PVS14 is autogated and so it dims to protect itself from burning out. Because of this, there can be shadows that are so dark, that night vision cannot show you what is there. 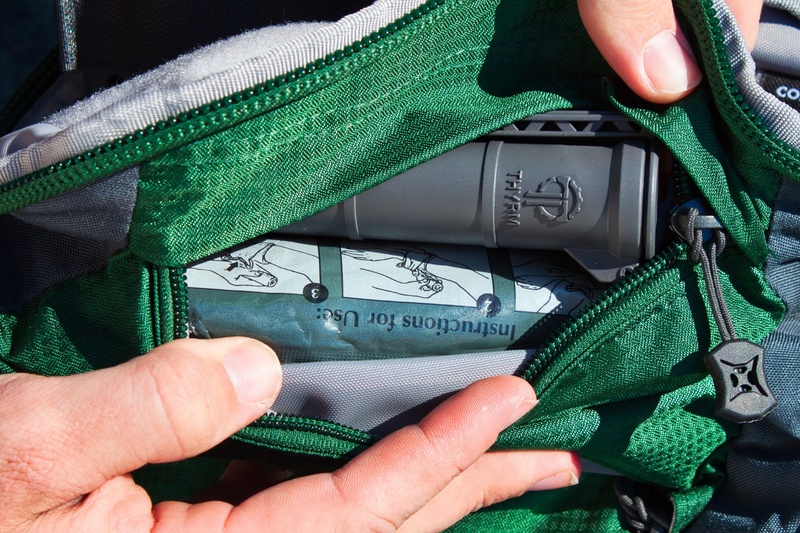 So you need to light up the shadows with a good illuminator. The MAWL-C1+ punches through the darkness with both its aiming and illuminating laser. Matt Meyers told me that LEGO was his inspiration behind the modularity of the MAWL. Almost every weapon laser is some sort of box that sits on top of the handguard. 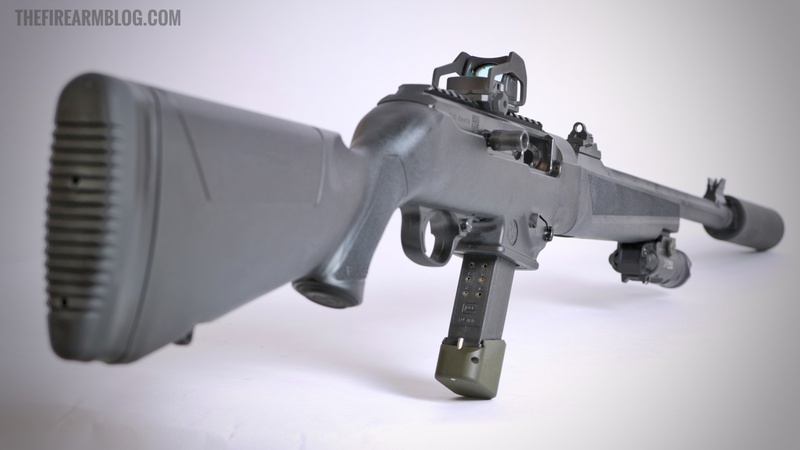 Look at the Steiner DBAL or L3 PEQ-15, they are boxes that sit high on the handguard. 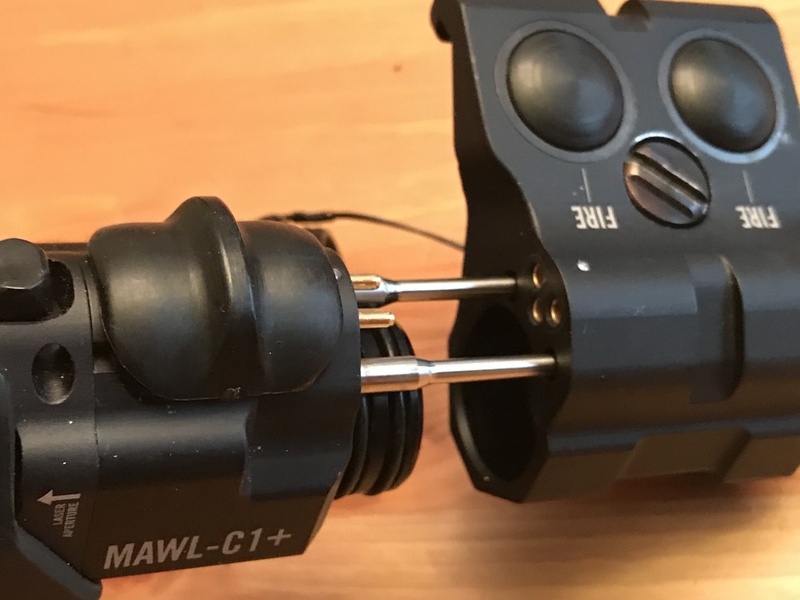 The MAWL is an offset design but with a simple twist of a locking screw you can change the battery and change the MAWL orientation for left-handed shooters. 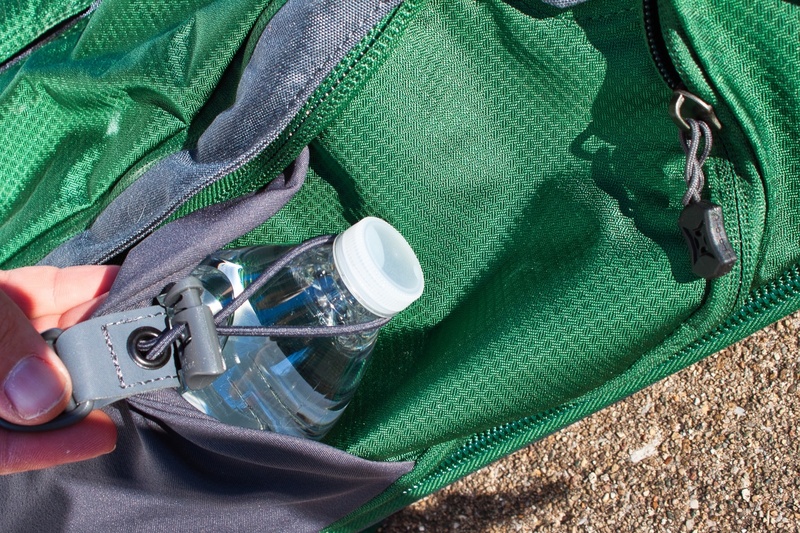 The head is detachable and is a feature for the MAWL system. You can upgrade your MAWL with a MAWL-DA or MAWL-CLAD head if you are a “secret squirrel” in the military or law enforcement world. 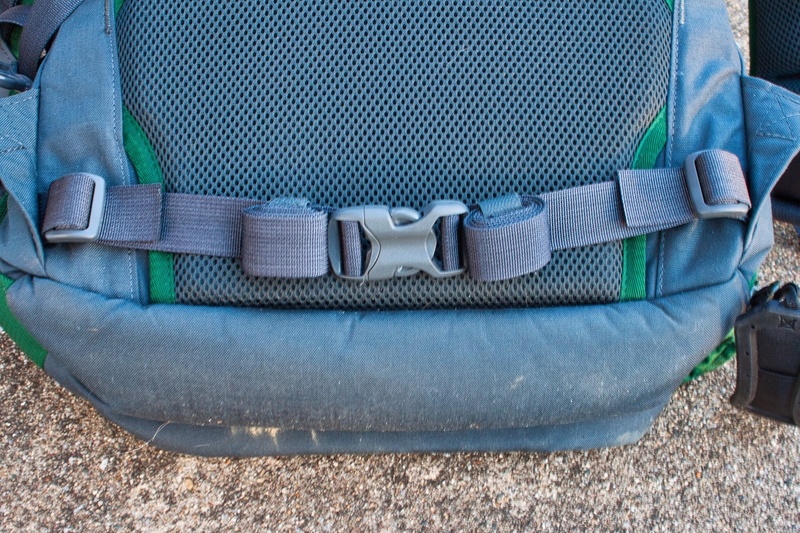 Those metal bars are the Head tension bars they are what the tailcap locks onto and holds the MAWL together. The body houses the activation buttons and you can see three brass female contacts. 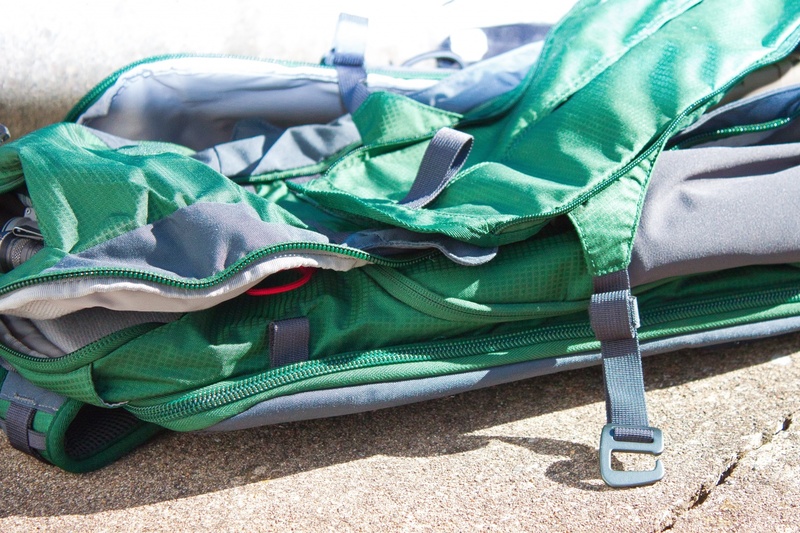 The body has matching contacts on the other side so you simply flip the body around 180 degrees. This makes the MAWL ambidextrous. No other weapon laser is ambidextrous like this. Usually, you just have to adapt your right hand when using other weapon laser systems. 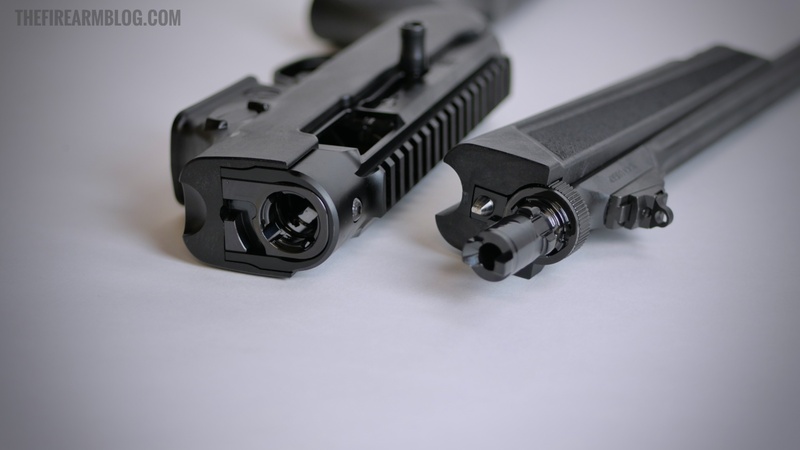 The MAWL head has two recessed LEDs that are only visible to the shooter. 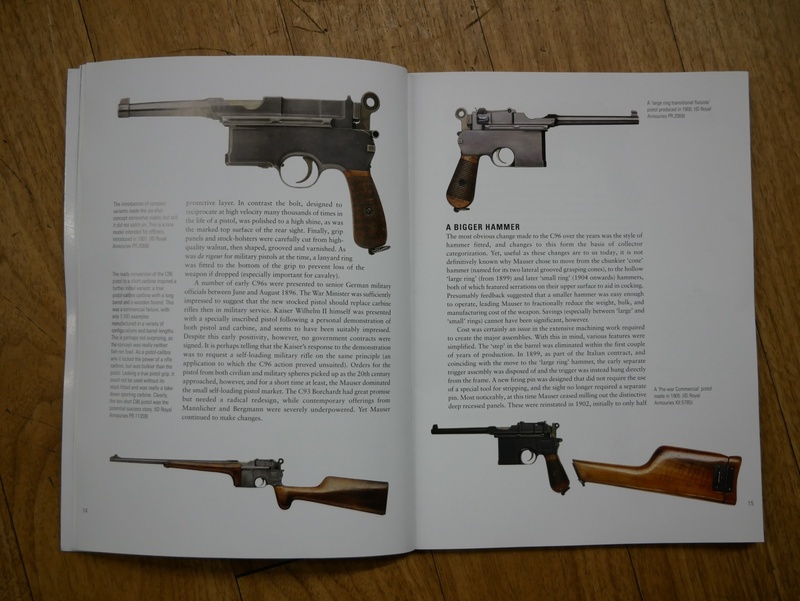 There are two so at least one is visible when positioned for left or right-handed shooters. They glow yellow when the MAWL is switched to VIS or IR. This lets you know that the unit is on. When you press either A or B buttons, the LEDs will glow green. This is particularly useful when you are in IR mode as you cannot see the beam with your naked eye. This is the business end of the MAWL-C1+. The propeller cap is also the on/off switch and selector between visible and IR modes. Here is the propeller cap set to IR. You can see there are four elements. There are three illuminators and one pointer. 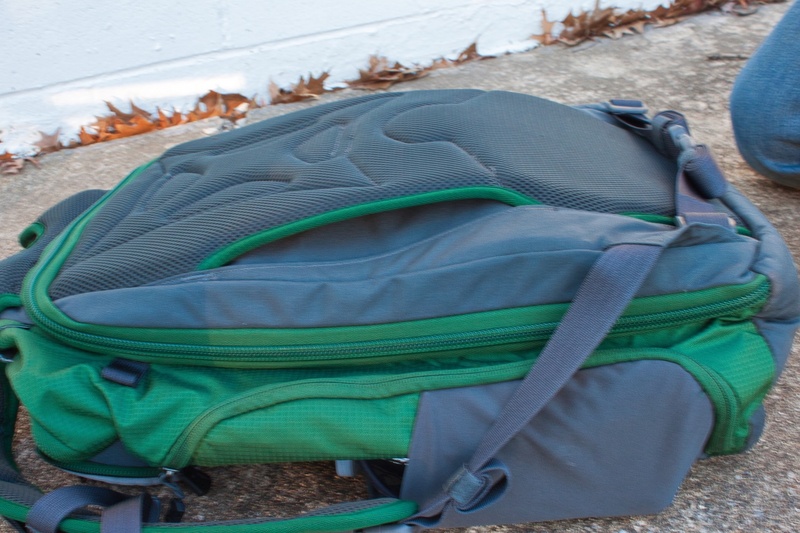 At the rear, the MAWL has auxiliary ports for use with Insight ATPIAL plugs. 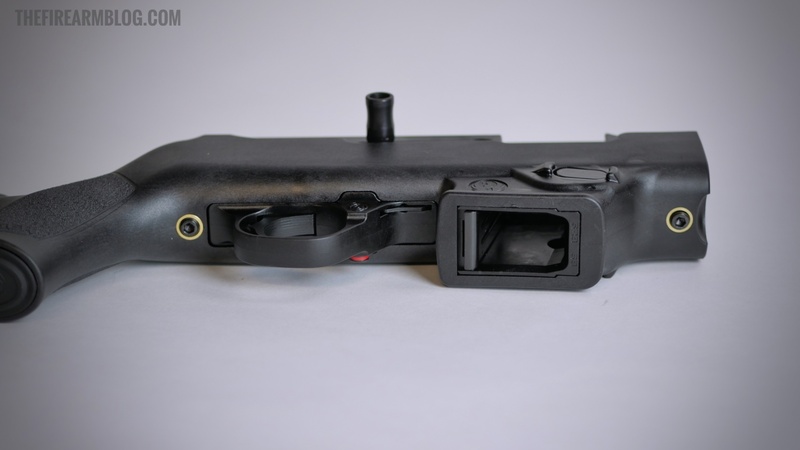 This will allow you to use a remote switch like the UNITY Tactical TAPS and control your white weapon light. The set screw can be switched to the other open position and this changes the MAWL-C1+ to its Alt Programming Mode. According to Chris at B.E. 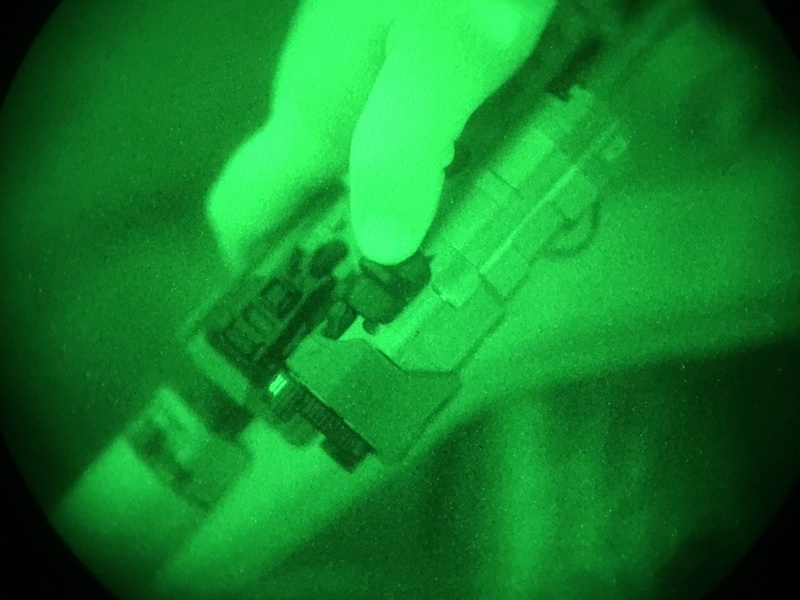 Meyers, the Alt Programming mode is for use with NODs with Photonis tubes. 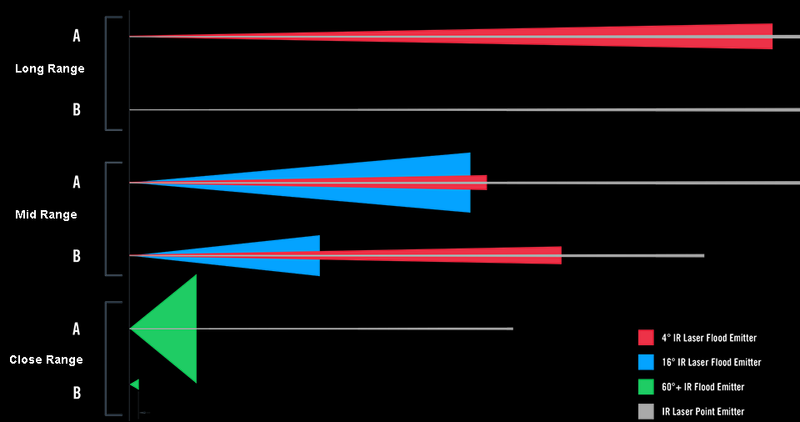 The standard programming mode puts out a beam that is sub-optimal for Photonis tubes. I believe the full power MAWL-DA uses the Alt mode for eye safe mode. The MAWL controls can be actuated with your support hand thumb. There are two activation buttons, A & B. The activation buttons are momentary but a quick double tap and the MAWL will stay on for 3 minutes. 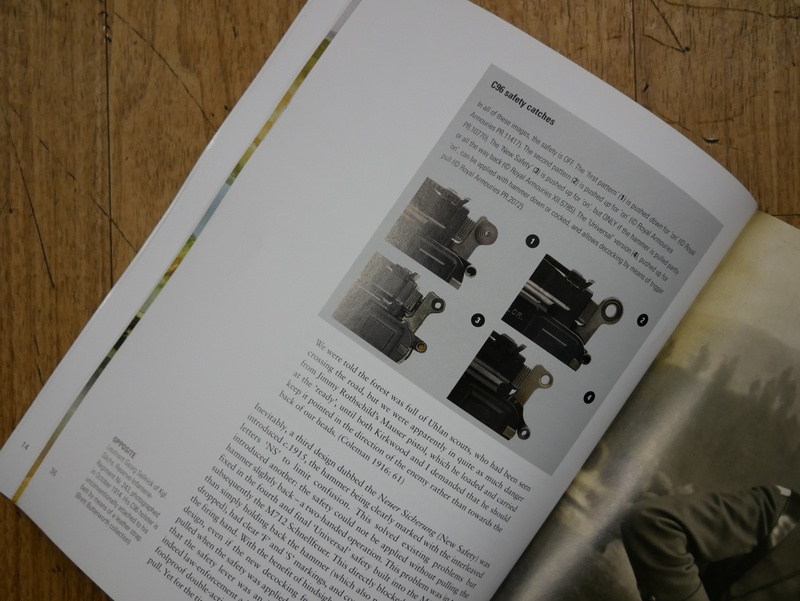 Then there is a range selector switch which has three positions. You can change sub-modes while using constant on. With the two buttons and three sub-modes, this gives the MAWL six different modes just in IR. 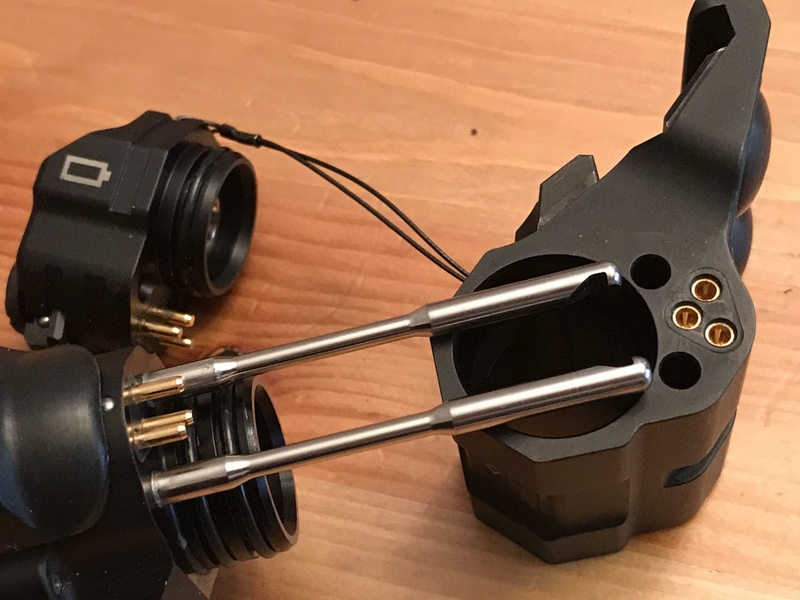 Just reach forward a little bit more and you can rotate the propeller cap to turn the MAWL on or switch from VIS to IR and back. 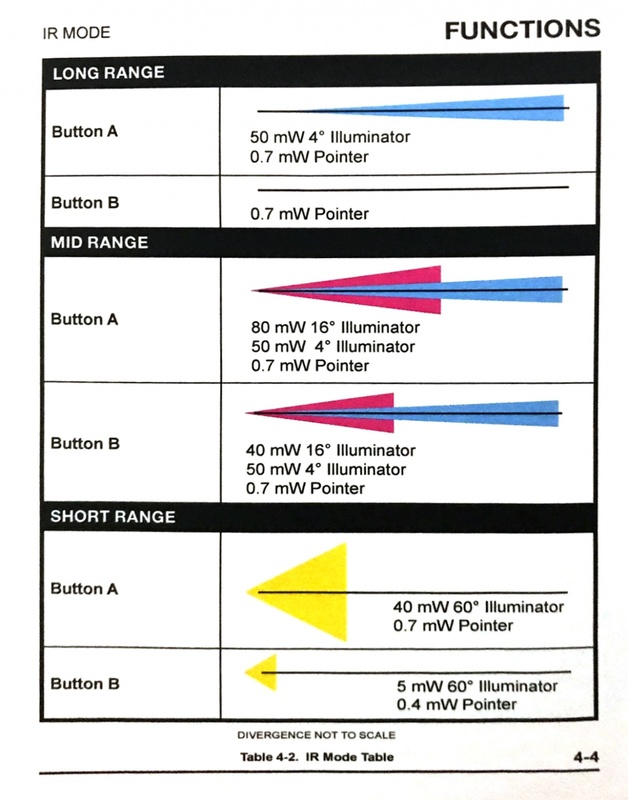 The diagram below shows you the six different modes. 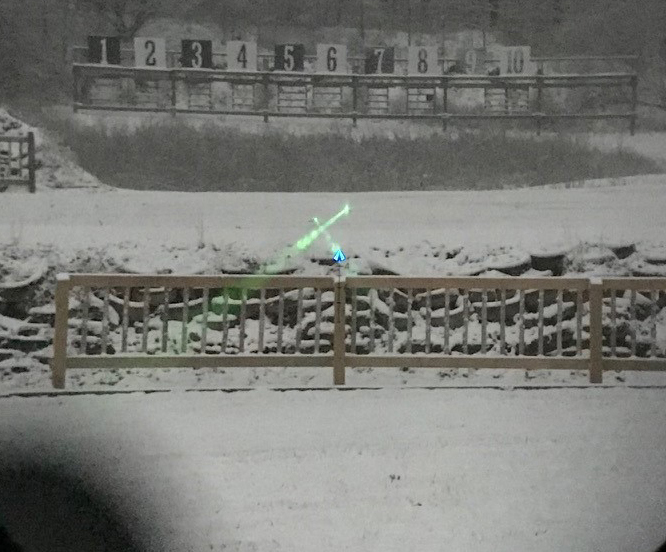 At short range (aka close range), the flood illuminator is activated. 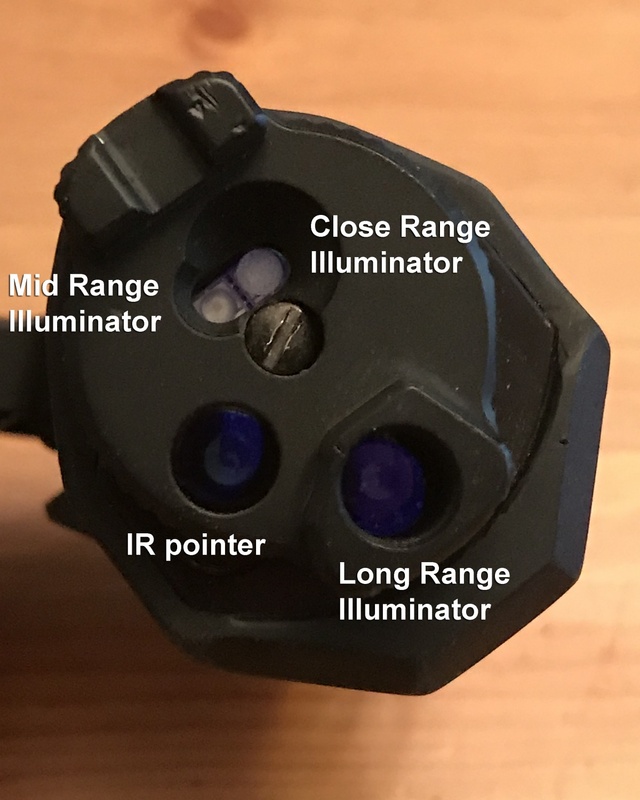 Where in mid-range both the mid-range illuminator and long-range illuminator are simultaneously activated with the IR pointer. Don’t want illumination? Slide the selector all the way forward and push button B. 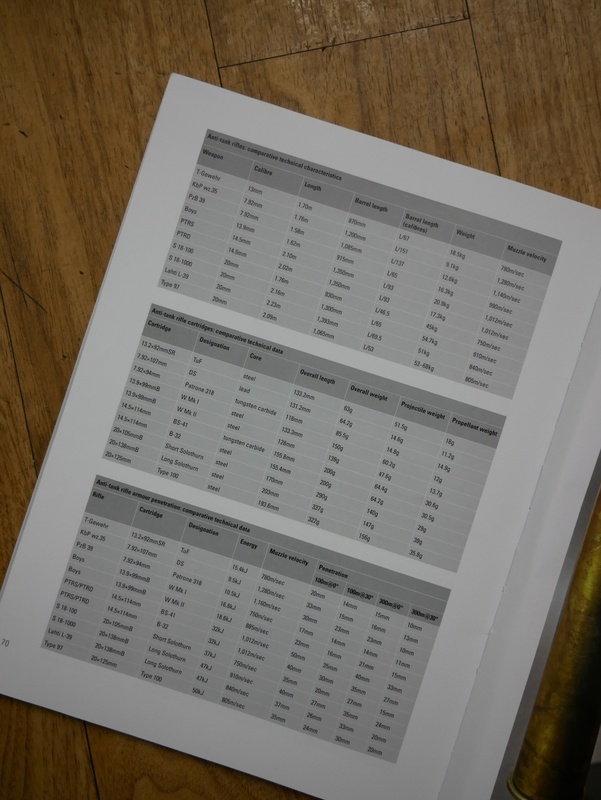 Here is a page out of the owners manual and lists the power ratings for the IR illuminator and pointer. It was hard to see the benefit of the two short-range illuminator modes until I was at Jim Grant’s house. Take a look at the video clip below and you can see a noticeable difference between button B and button A in close range mode. 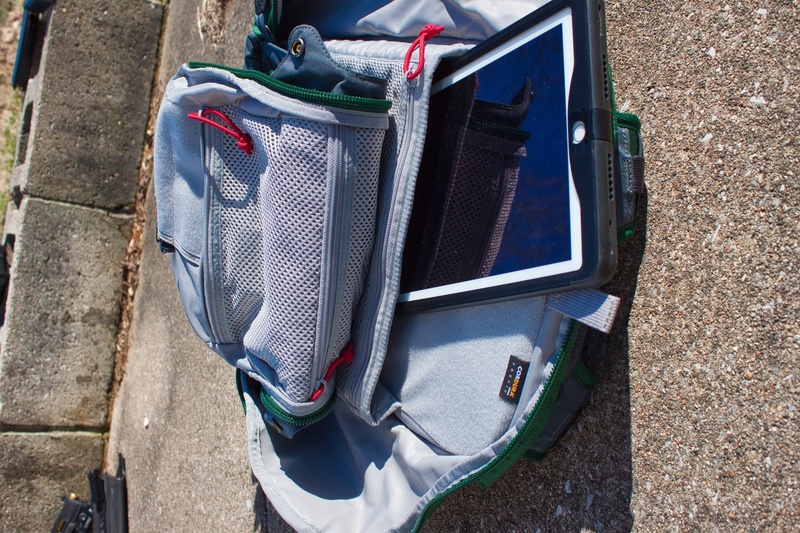 While the MAWL truly shines (pun intended) when used in IR mode with night vision, it is no slouch in visible mode. 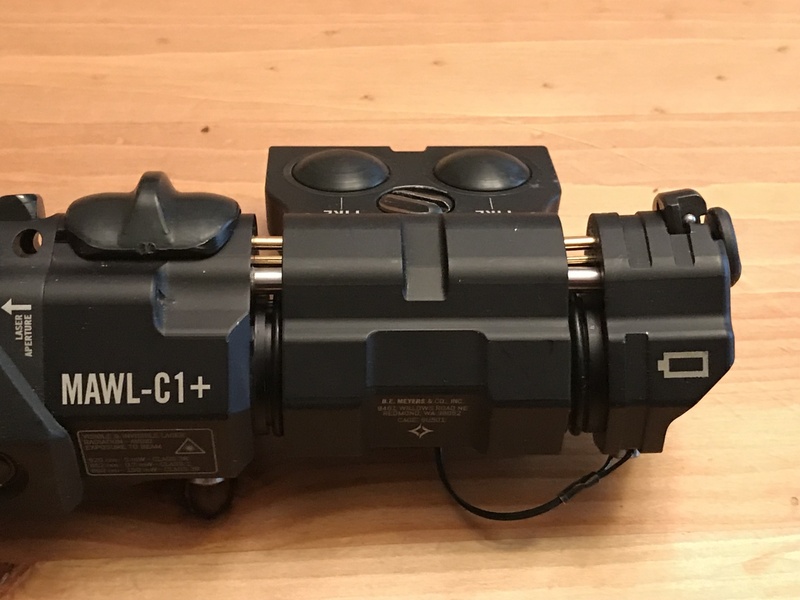 Here are some photos comparing my Holosun weapon laser compared to the MAWL-C1+. 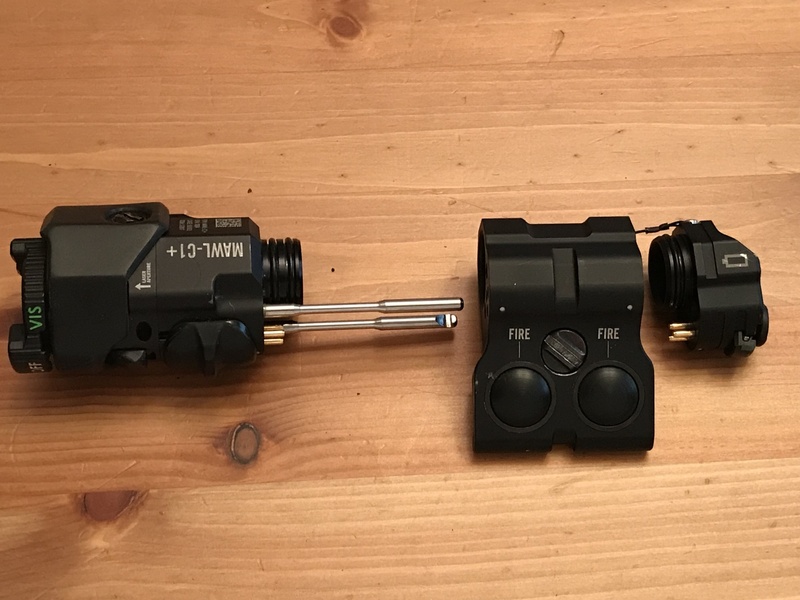 The beam on the left is the MAWL and the beam to the right is my Holosun. The difference is more apparent up close. Just like IR mode, the two different buttons and sub-mode selector switch give the MAWL 3 different modes. When pushing the A button down you get a 5mw green pointer at all 3 modes. It is only button B that has different modes. On Short Range, the pointer is reduced to 1mw. On Mid Range it bumps up to 5mw and when you are in Long Range mode the 5mw pointer pulses. 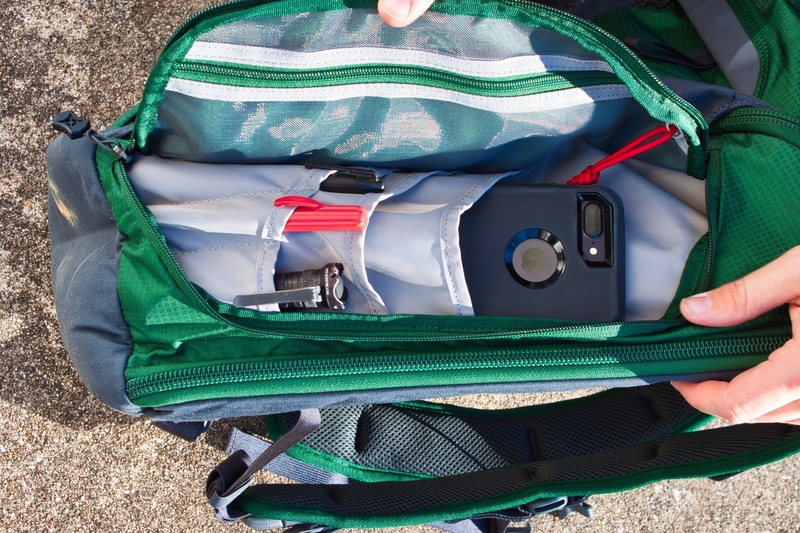 Yes, the MAWL-C1+ is relatively expensive. But the old adage applies here “Buy once, cry once”. I prefer to equate it to any other well-made item that fetches premium prices. A DPMS AR-10 will fire .308 but the SCAR17S is one of the best out there and it too fetches a premium price tag. Those who have them would re-buy them in a heartbeat. I believe the same goes for the MAWL-C1+. 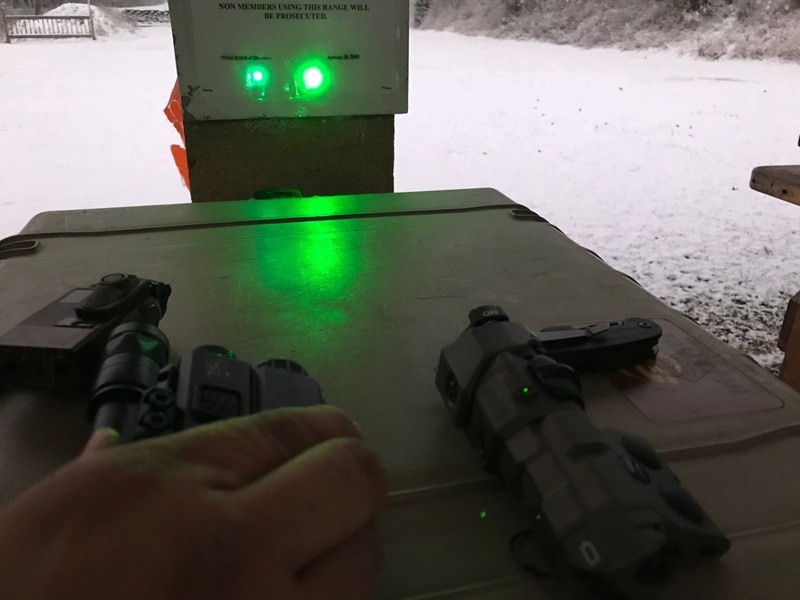 While it is not “melt your face off retina-searing” like the Class III full power IR lasers, it is very versatile, it is ambidextrous and it beats the competition in pointing and illumination. 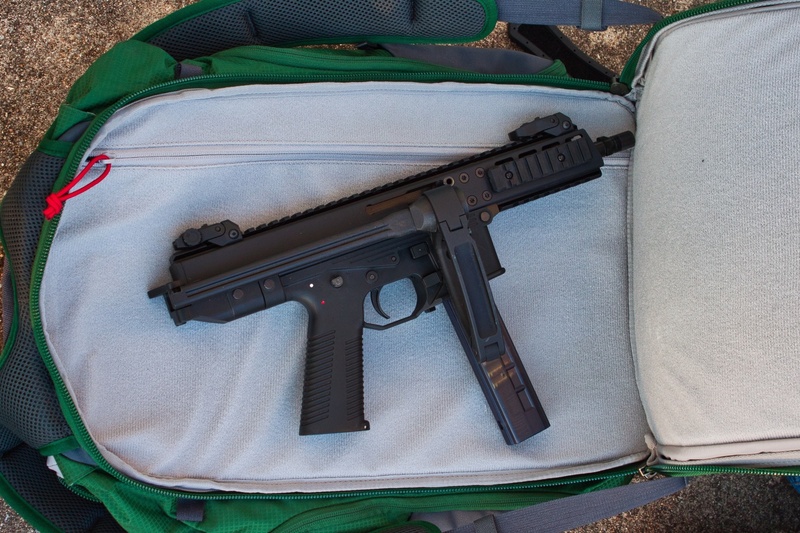 For shooters who want to have the best equipment, the MAWL-C1+ is the one for you. 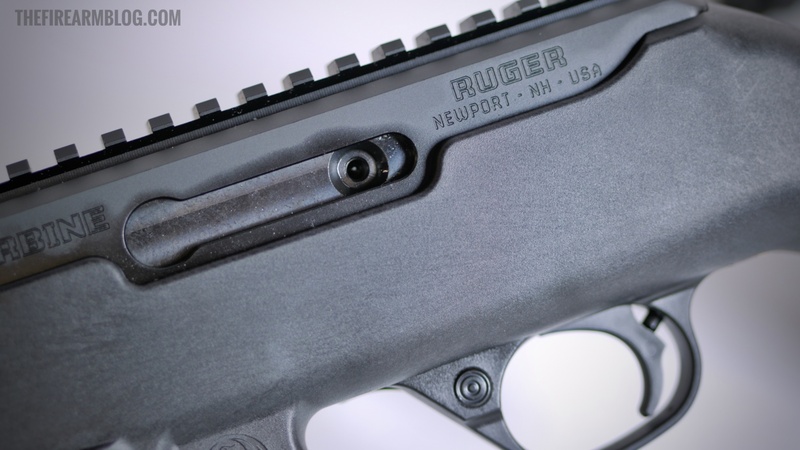 You have to hand it to Ruger – over the past few years the Newport, New Hampshire headquartered firearms manufacturer has transformed their image from “bolt action and rimfire” to “backpack-ready and NFA” (raise your hand if you predicted that Ruger would be making silencers). Seemingly basic considerations like optics and accessory rails, threaded barrels and polymer furniture options are progressive enough to get a younger generation of shooters interested in buying a Ruger. But manufacturing the new Ruger PC Carbine to accept GLOCK magazines is just part of the reason that Ruger’s latest offering is a homerun. 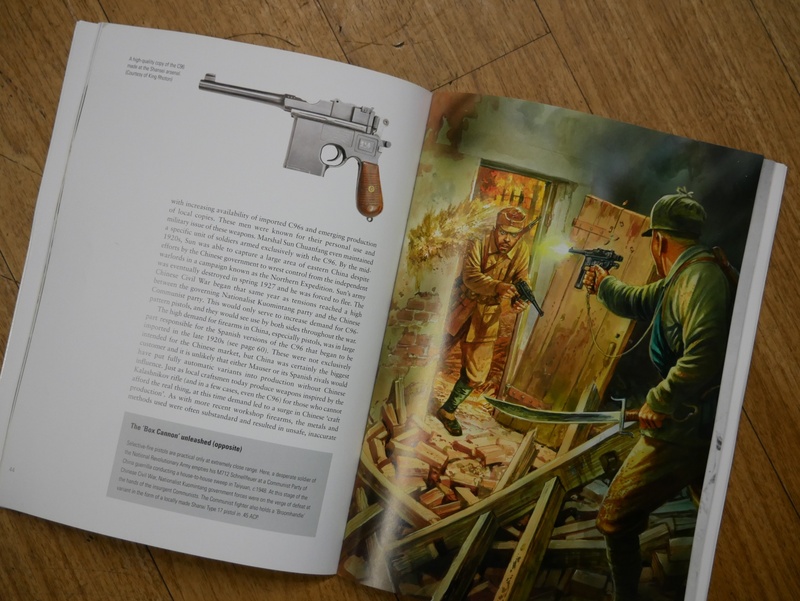 Reports of the death of the pistol caliber carbine have long been exaggerated – a steady flow of companies have announced models that are either new and unique or are update versions of classic guns. 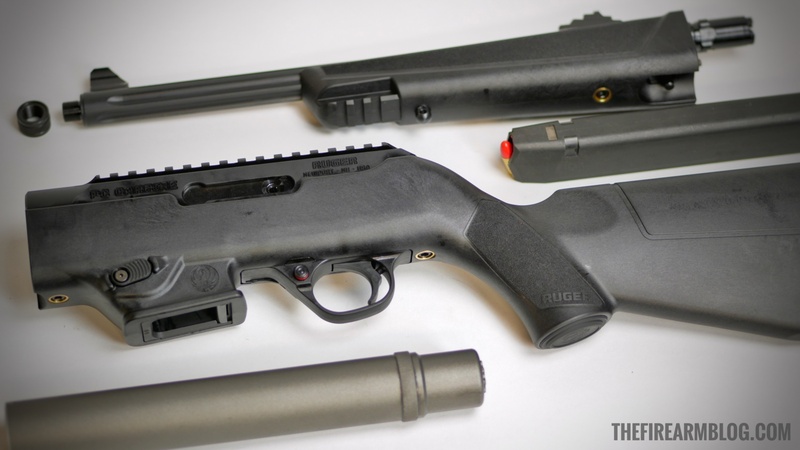 The Ruger PC Carbine is a bit of both, channeling the company’s original PC9 that debuted in 1996 as well as modern takedown features from recent rimfire hits. 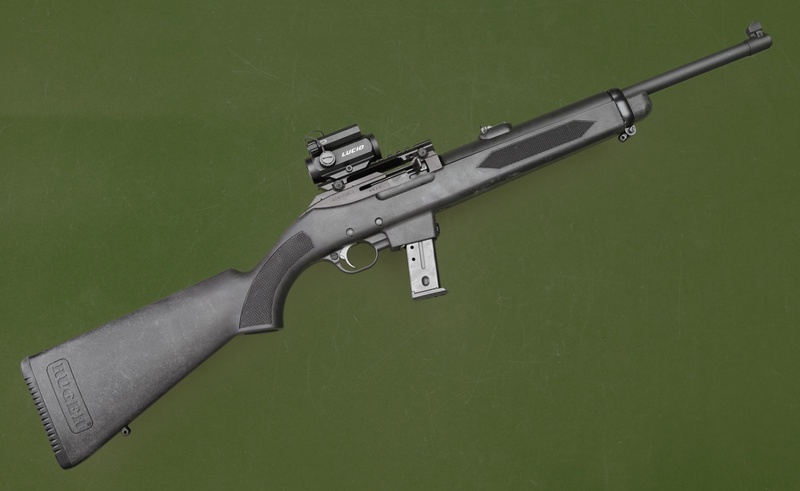 In simple terms, the PC Carbine is basically an overgrown 10/22 takedown with magazine interchangeability features. 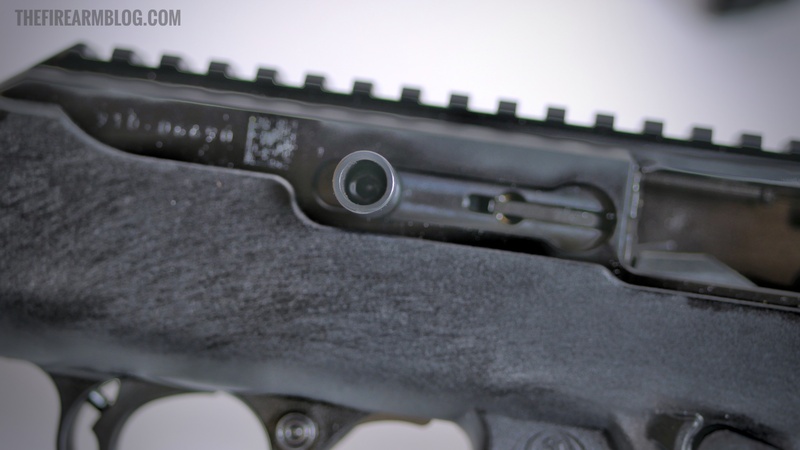 In fact, Ruger’s new rifle allows trigger/fire control group swaps with 10/22 mechanisms. 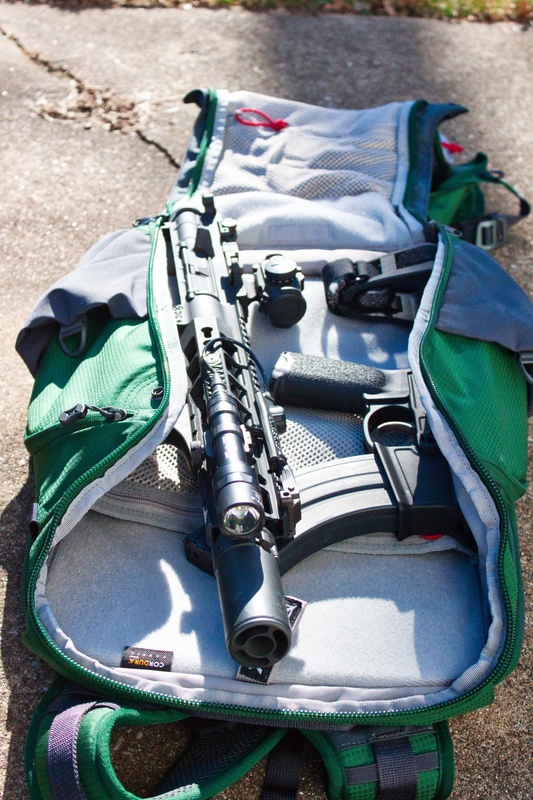 The Ruger PC Carbine comes nicely packed inside a well organized box with all the required tools and components to shoot, adapt and maintain your new rifle. 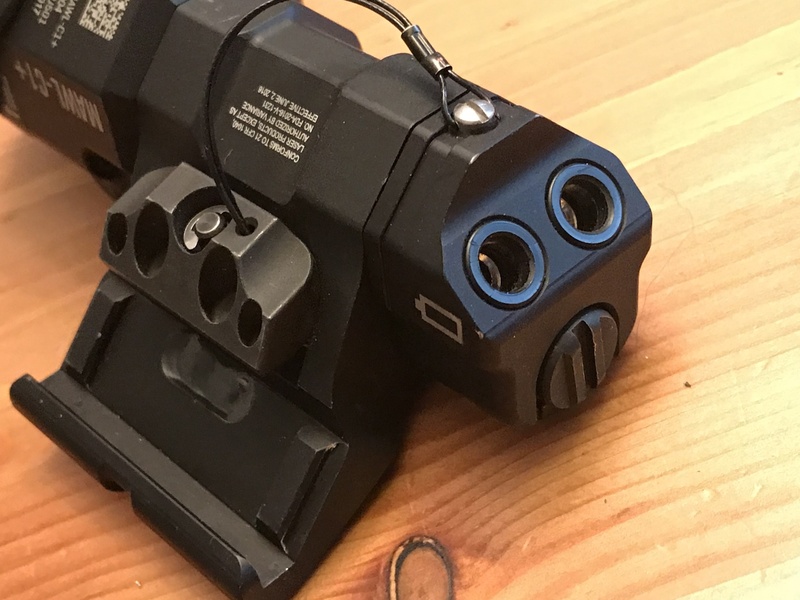 Although the 9mm carbine comes ready to shoot out of the box with a Ruger American magazine well and magazine, included at no extra charge is a GLOCK magazine well – Ruger could easily have left the GLOCK compatibility feature as an added cost. Ruger’s new long gun is available in three versions: threaded barrel, bare muzzle and a 10 round magazine options for those states where a handful of extra rounds in a magazine can get you in legal trouble (don’t get me started). 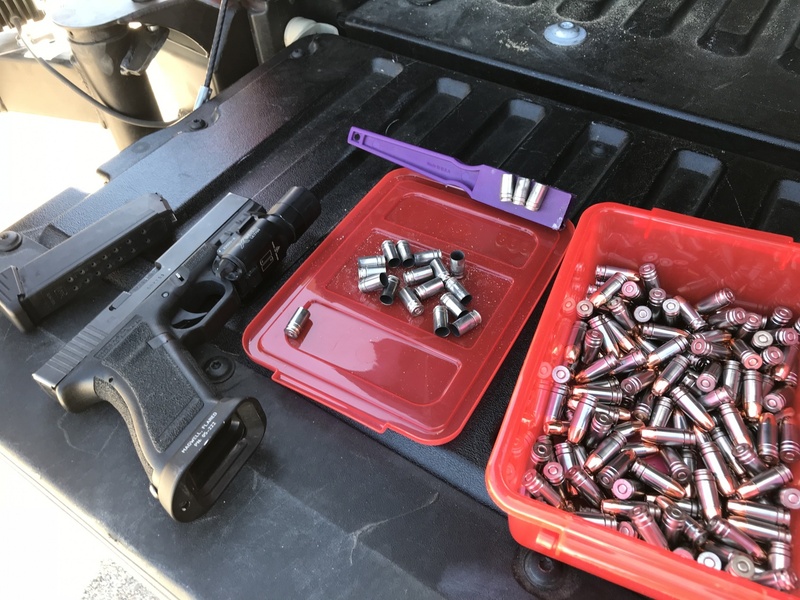 For this review, Ruger was nice enough to let me borrow the threaded barrel version due to my need to suppress every firearm that lands in my lap. 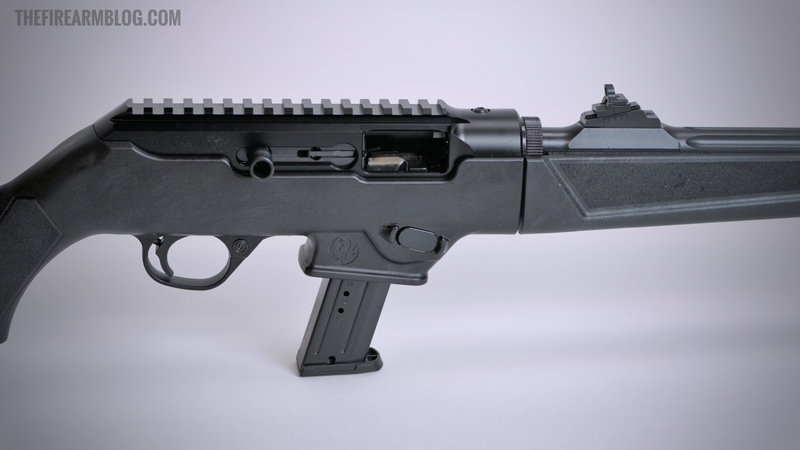 My initial reaction was very positive: The PC Carbine feels like a quality firearm right out of the box, has no visible machining marks and includes a well made polymer stock set. 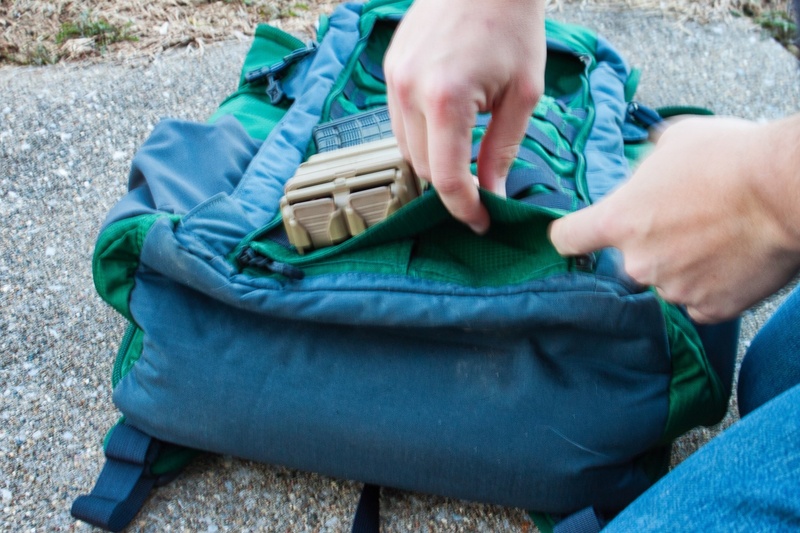 Safety reminder: Always follow the rules of proper and safe gun handling. If you don’t understand something, stop and ask a professional for help. 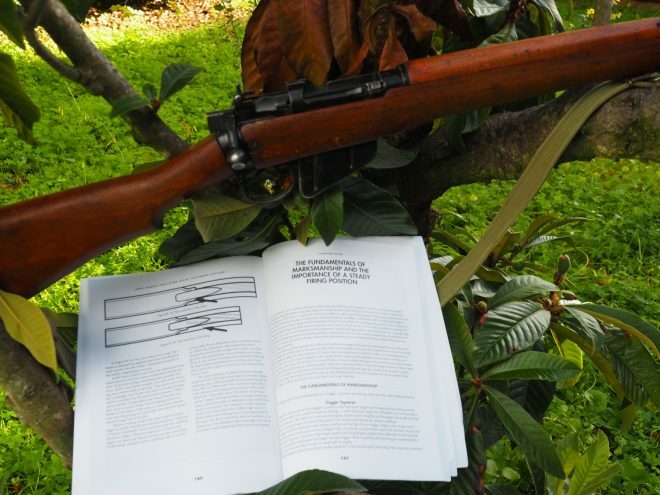 If you are familiar with the classic 10/22 rimfire rifle, you are ready to run the PC Carbine – ergonomics, controls and general operation are basically the same. 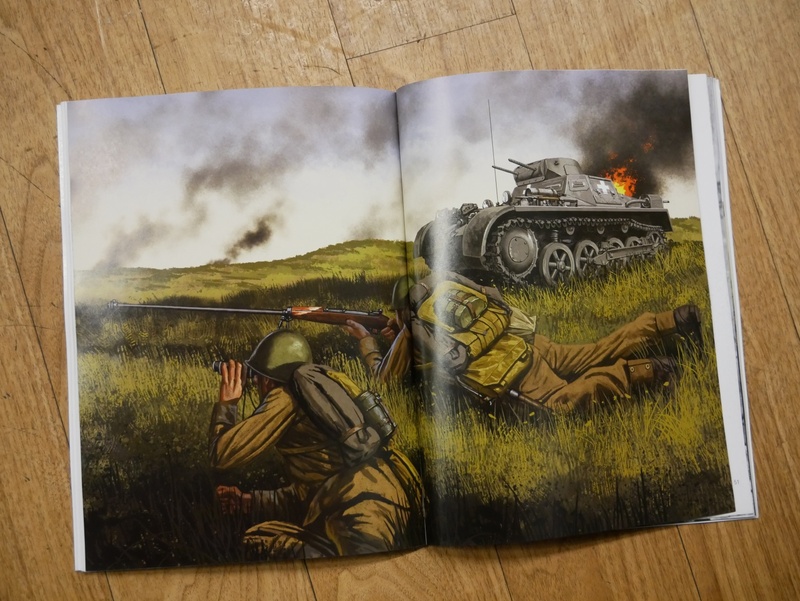 The only real difference being the magazine well and release button (more on dropping mags in a bit). Breaking down the PC Carbine into its two halves is simple and takes less than 30 seconds. 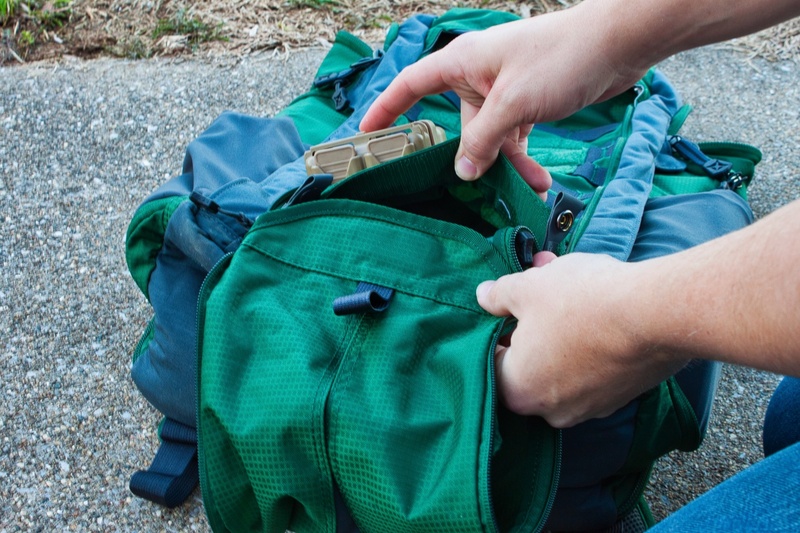 Simply unscrew the unlocking ring, push the release lever, then twist the front section counterclockwise and pull. 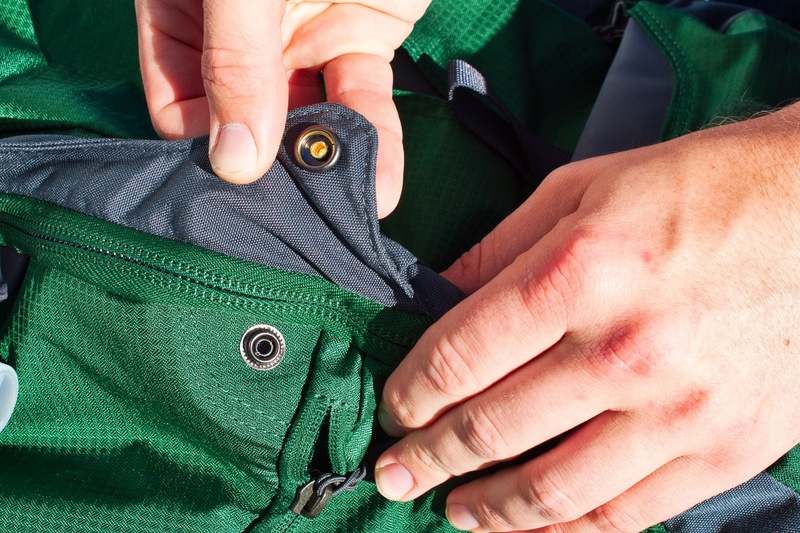 The magazine release is reversible; using the included hex key simply loosen the screw and remove it along with the release and the spring. Then install the assembly from the opposite sides and tighten the screw. 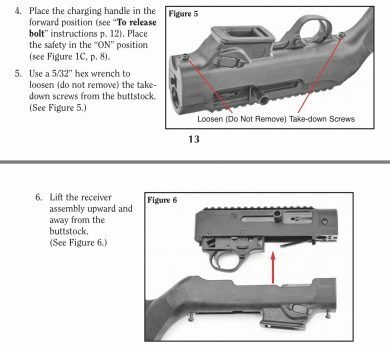 I’ve included screenshots from the Ruger owner’s manual below (You do read the manual, right?). 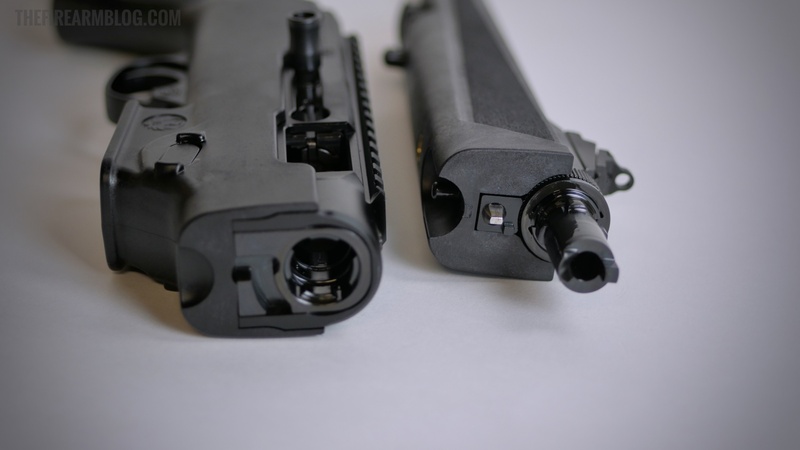 The charging handle can also be switched for right or left hand side operation. The safety is a standard cross bolt design, operated with a push of the index’s finger or thumb. 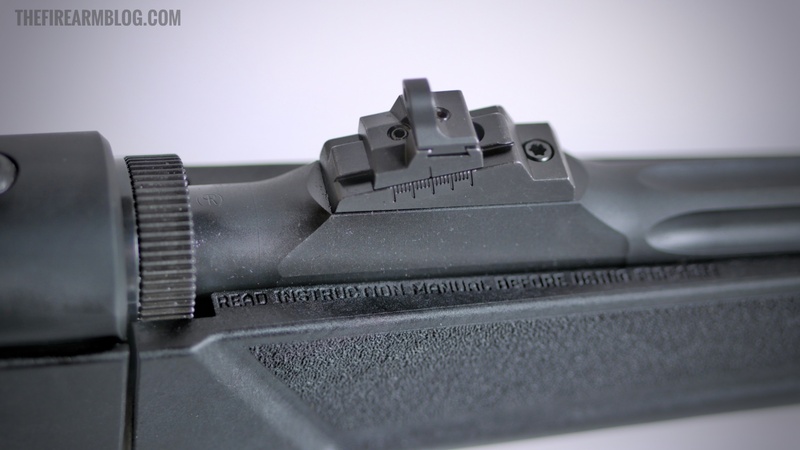 And the bolt hold open mechanism is classic Ruger 10/22 – love it or hate it, at least it is familiar. 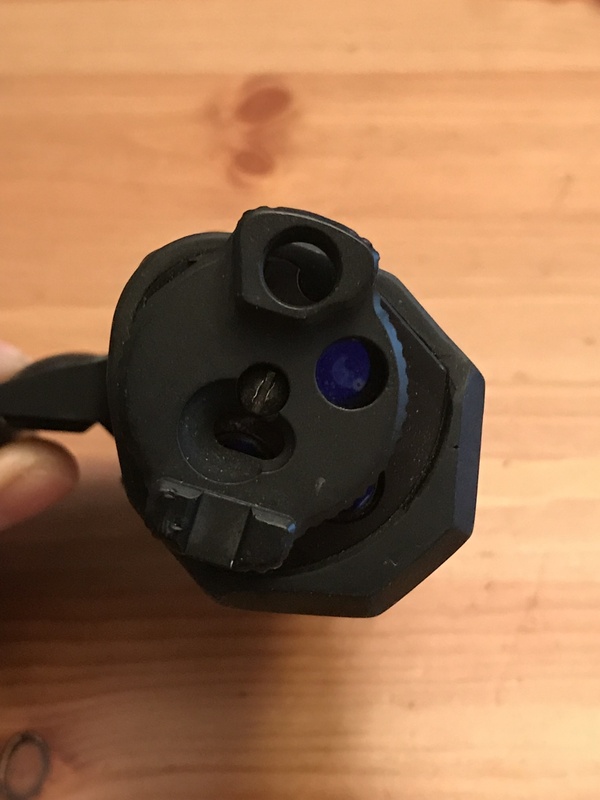 Inside the charging handle is a hex nut which can be unscrewed to switch it from the right or left hand side. 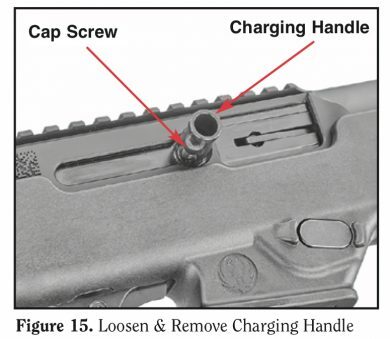 We will have more time inside the PC Carbine’s instructions to show you the ease of the charging handle swap. 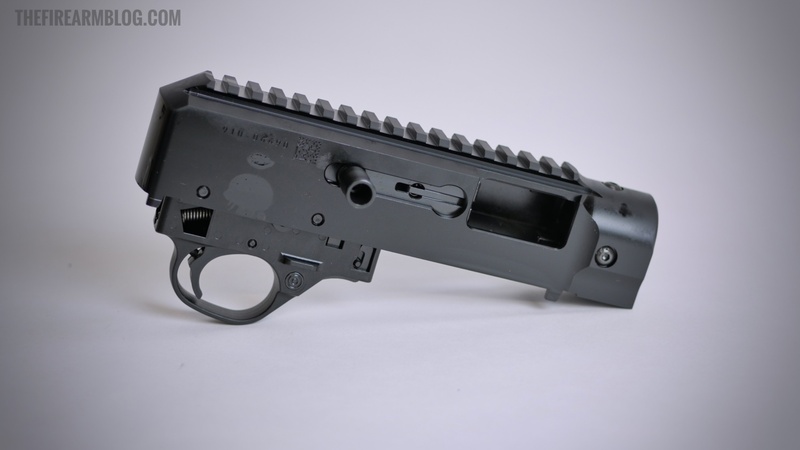 This pistol caliber carbine ships with two additional stock spacers to adjust length of pull. Truthfully, these little slices of plastic were the biggest disappointment of the entire review. They are shiny plastic rather than rubber or polymer and feel like an afterthought rather than a design feature like the rest of the PC Carbine’s winning personality. It’s a minor issue, just try to ignore the fact that they feel like the fake Legos you used to find at your least favorite cousin’s house as a kid. 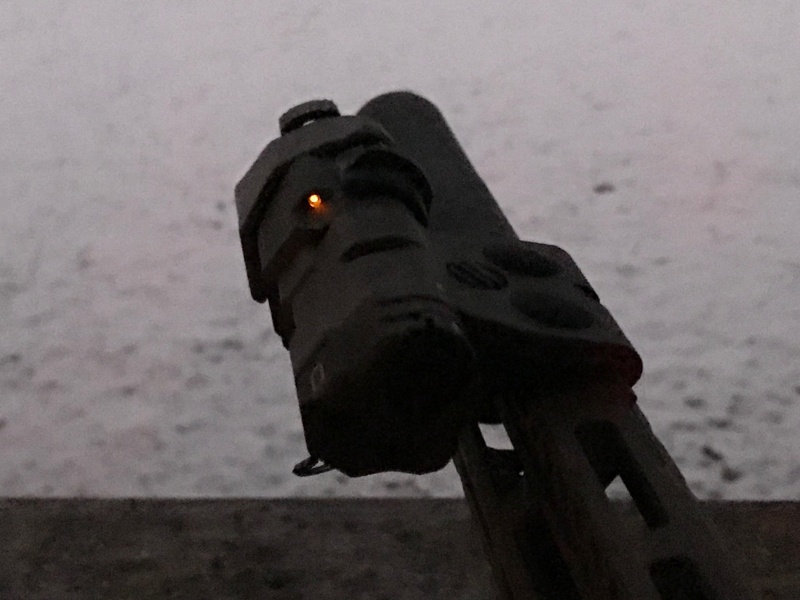 The ghost ring sight set is perfectly suited to the sporter/carbine feel from Ruger. 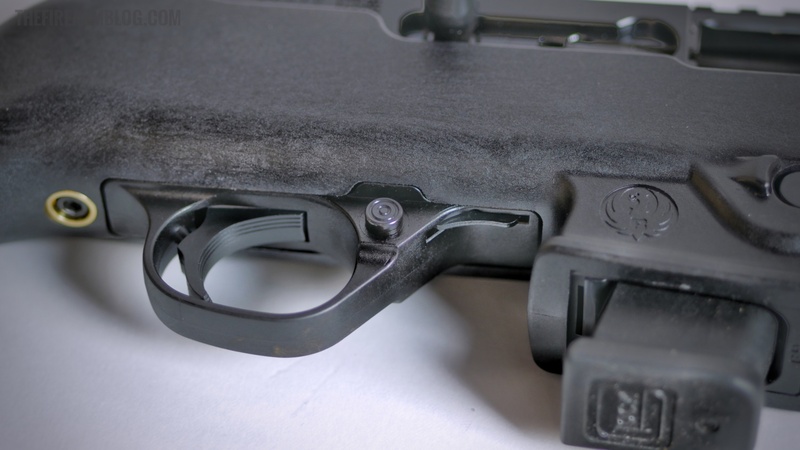 The rear sight is adjustable for windage and elevation with the turn of a screw. My only request here would be some side-protecting blades to keep the ghost ring from snagging on gear or clothing. Now for one of the PC Carbine’s biggest features: magazine wells that can be changed to allow for the use of GLOCK mags. 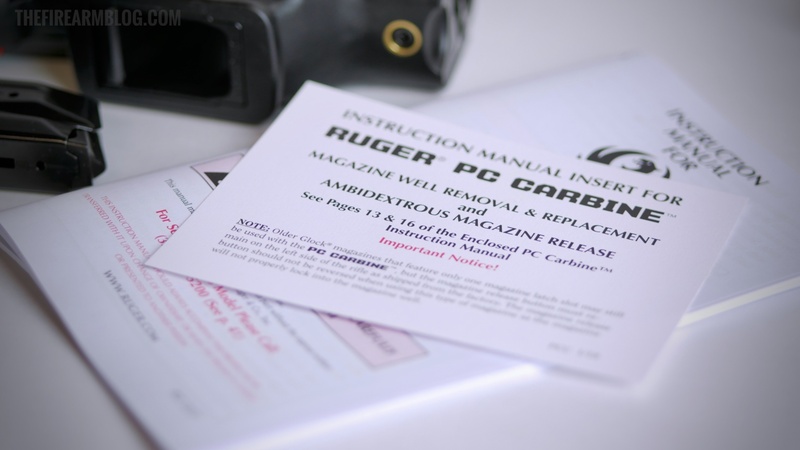 As of this writing, Ruger’s new Carbine ships with a Ruger magazine and mag well along with a GLOCK well. 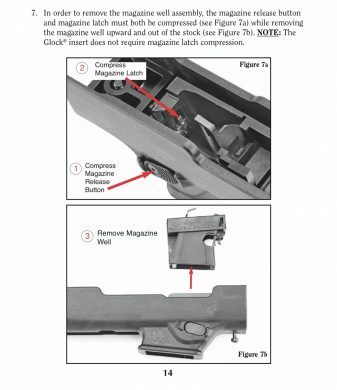 Time will tell if the company, or even aftermarket manufacturers, will make additional inserts to accept other manufacturer’s magazines. 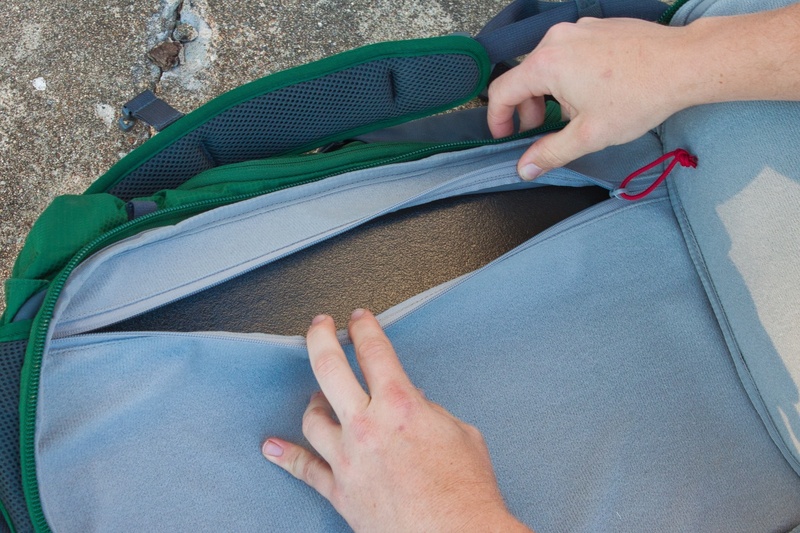 The PCC’s user manual has an easy to follow set of instructions. 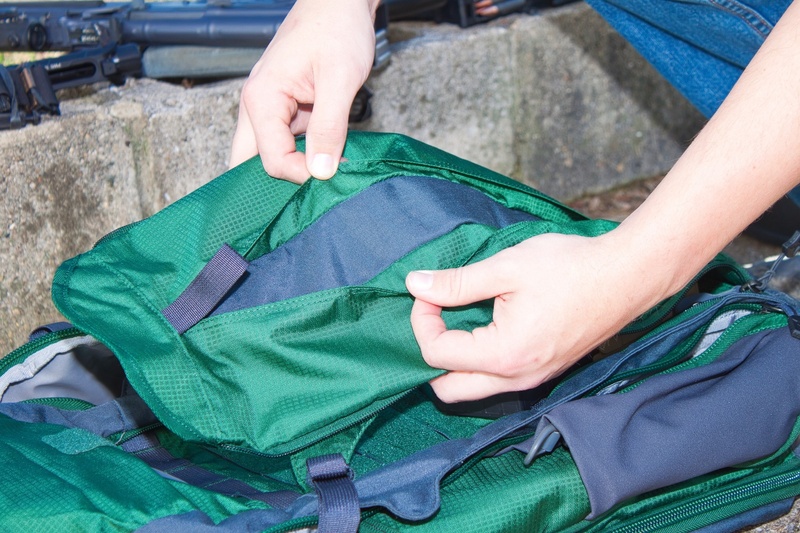 Read and follow the steps for a proper installation. Here’s the box insert with tools and accessories. 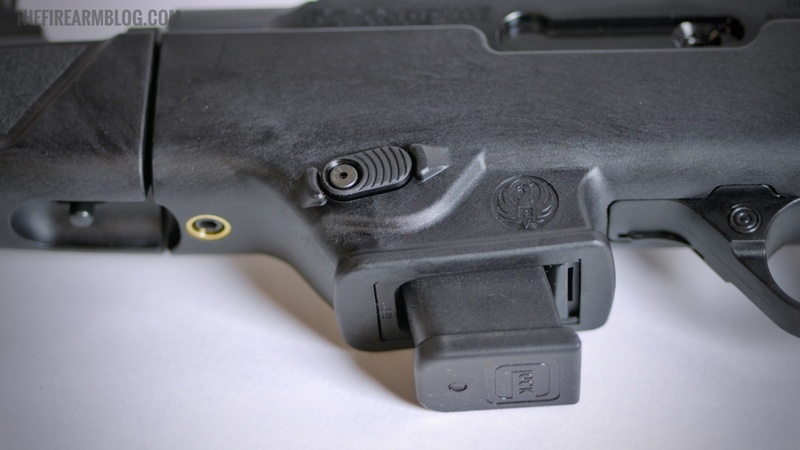 The empty slot holds the included Ruger magazine. 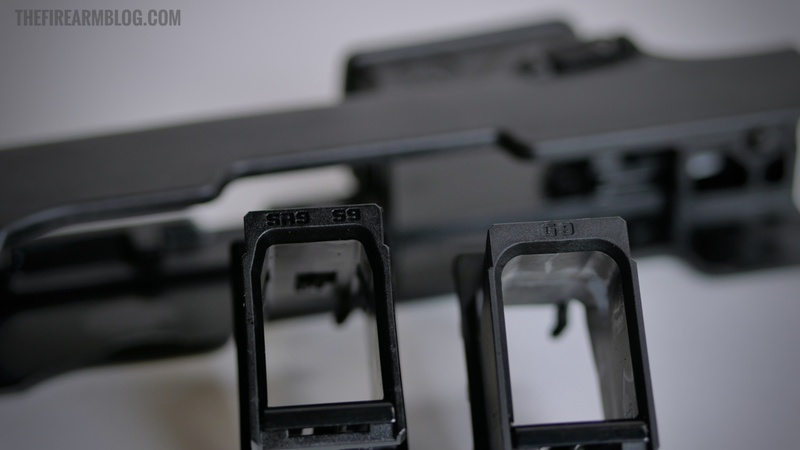 There are two captured screws that hold the receiver in place. 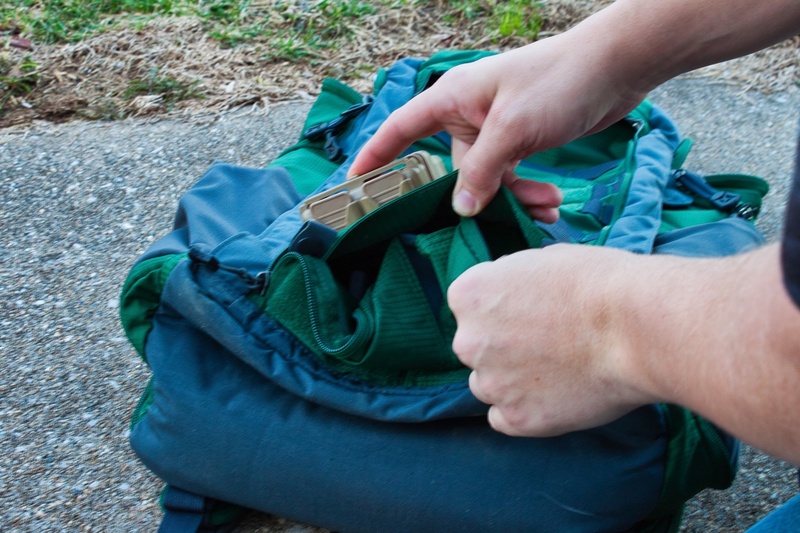 Loosen them until they pull away from the receiver. The form of bare receiver may seem familiar: it’s e beefed-up version of the rimfire classic 10/22 design. 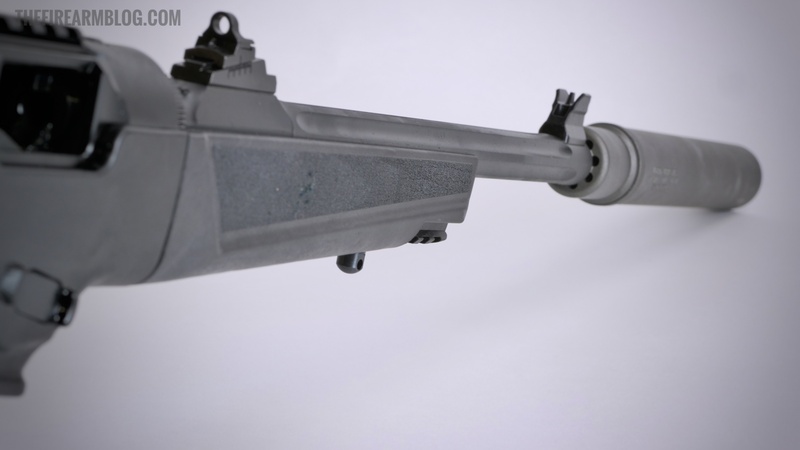 In fact, Ruger boasts trigger group interchangeability with 10/22 products, which opens the door to some fantastic aftermarket options. 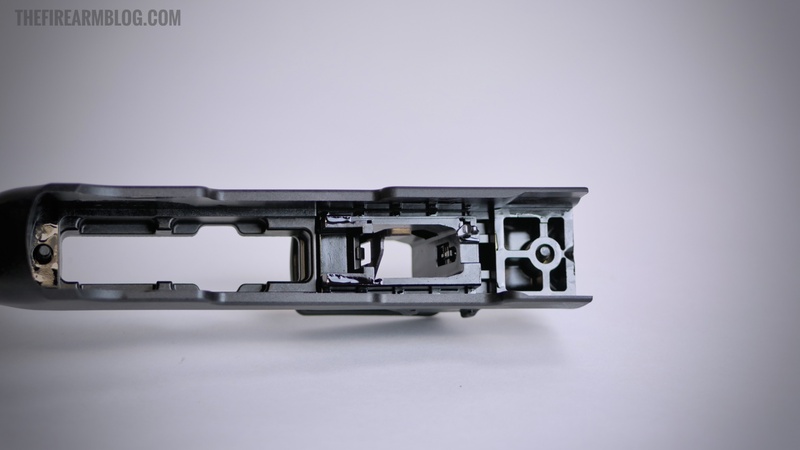 Looking into the empty stock from the top down shows the magazine insert and a spring loaded tab that is actuated by the magazine release. 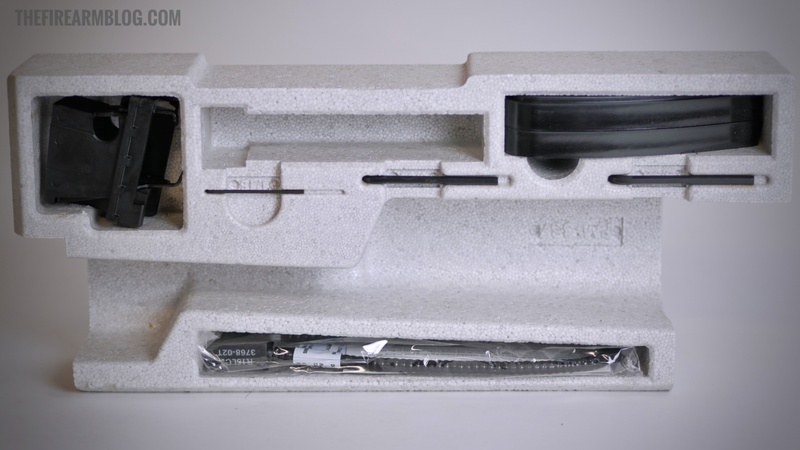 Simply depress the tab inside the well and lift the insert out of the stock. 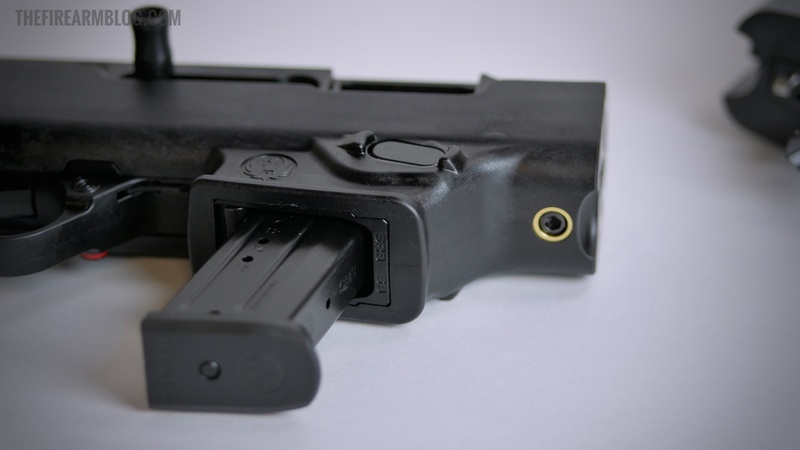 Follow the steps in reverse to install a different mag well. In all, the process took about five minutes from start to finish. 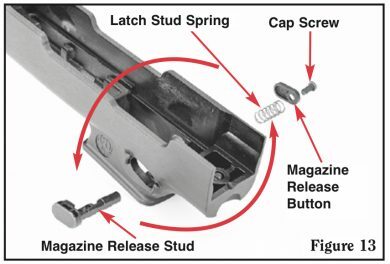 The design simplicity should allow Ruger or other aftermarket manufacturers to make inserts for other popular magazines. 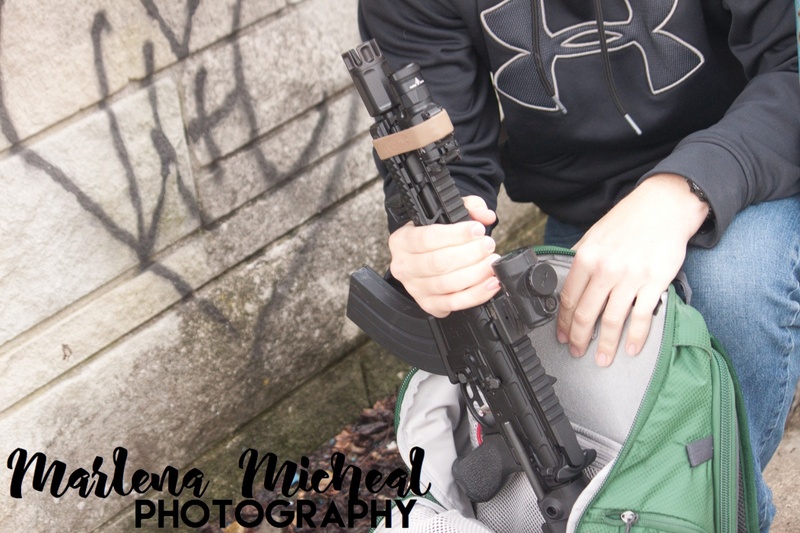 Although GLOCK mags fulfill most shooters dreams of carrying their favorite pistol that shares mags with a capable carbine. 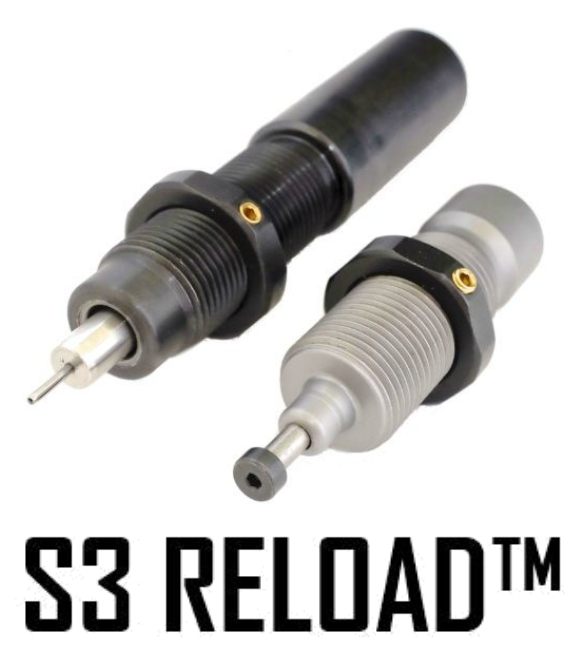 Suppressor owners will want to thread on their favorite 9mm capable can as soon as possible (I did, anyway). 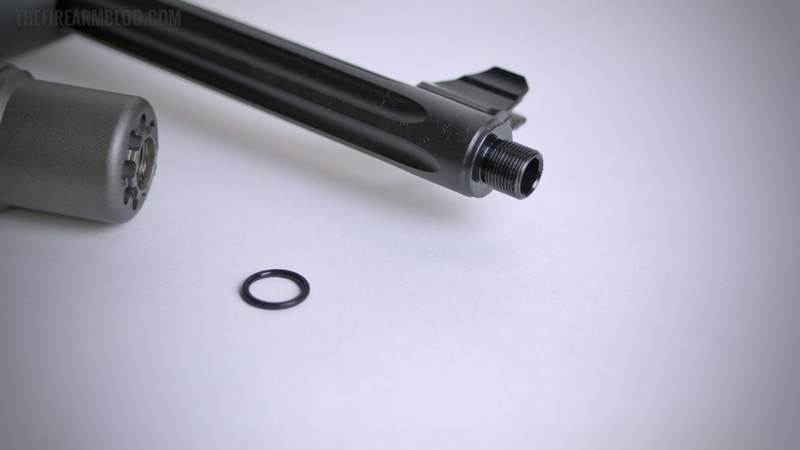 Caution here: Ruger has included a rubber o-ring between the barrel and the thread protector that could interfere with proper silencer alignment. I just removed the ring from my test unit and set it aside. The PC Carbine really is a nice looking gun. 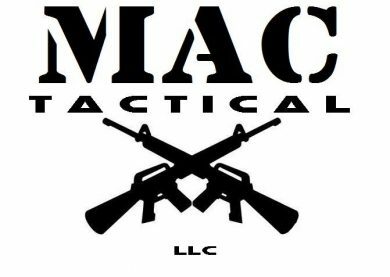 Factory 33 round Glock mags! 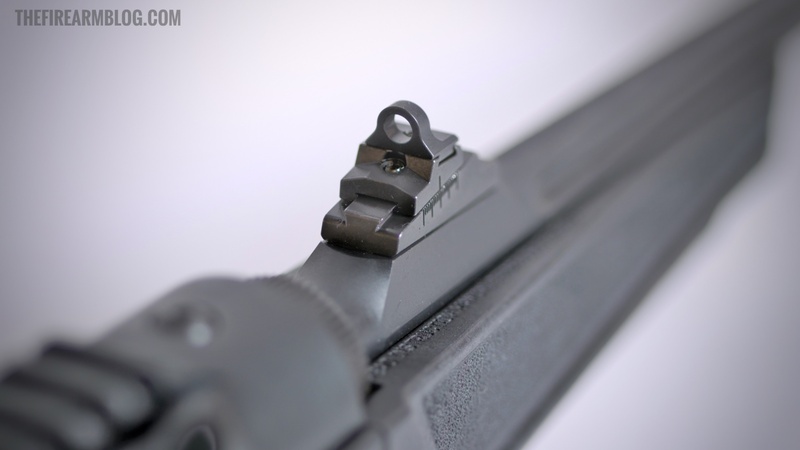 The addition of a threaded barrel should be an option on all modern pistol caliber carbines. 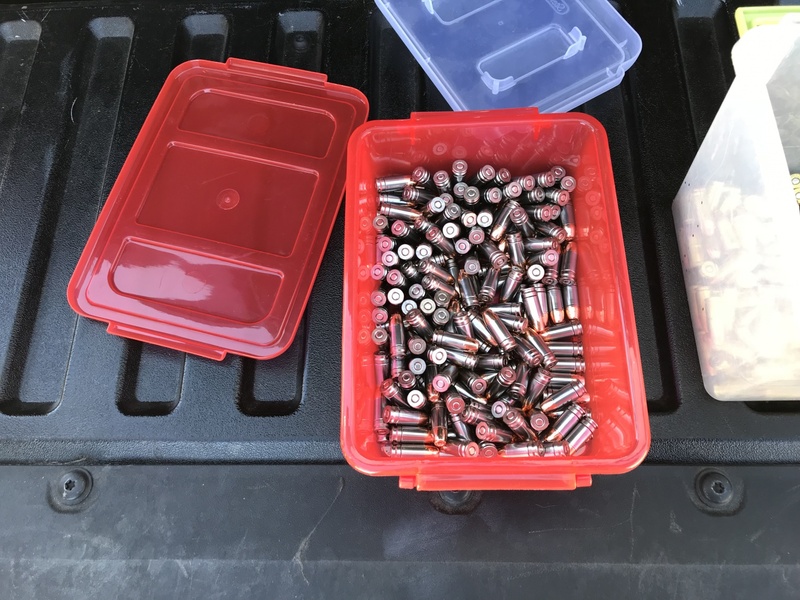 The exploding suppressor market along with a healthy selection of subsonic ammunition makes long guns like the new Ruger really enjoyable hosts. 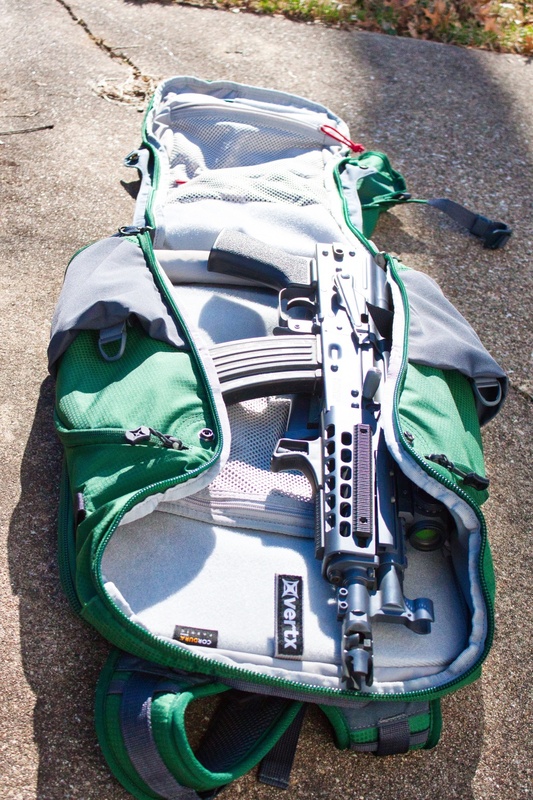 Fully configured, the PC Carbine can be outfitted with optics, lights and lasers, suppressors and magazines of varying capacities, making it a solid performer in many categories. 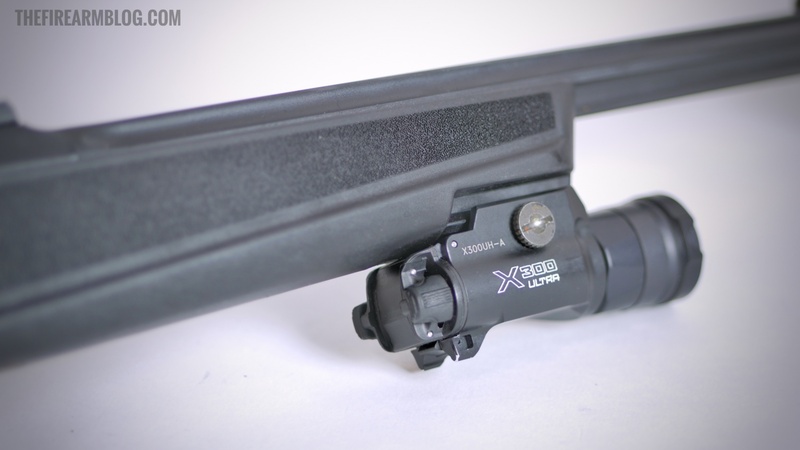 Mounting my Surefire X300 Ultra was slightly inconvenient; the sling stud was in the way of the light’s rear tail cap. But unscrewing the stud fixed the issue and it could be that I don’t have the correct attachment plate for the X300. So it really is a minor issue. 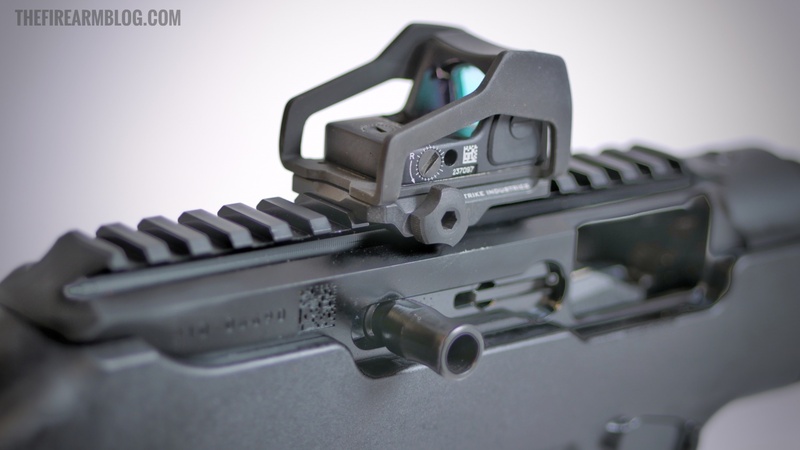 RUGER PC CARBINE: Strike Industries REX Optics Mount. 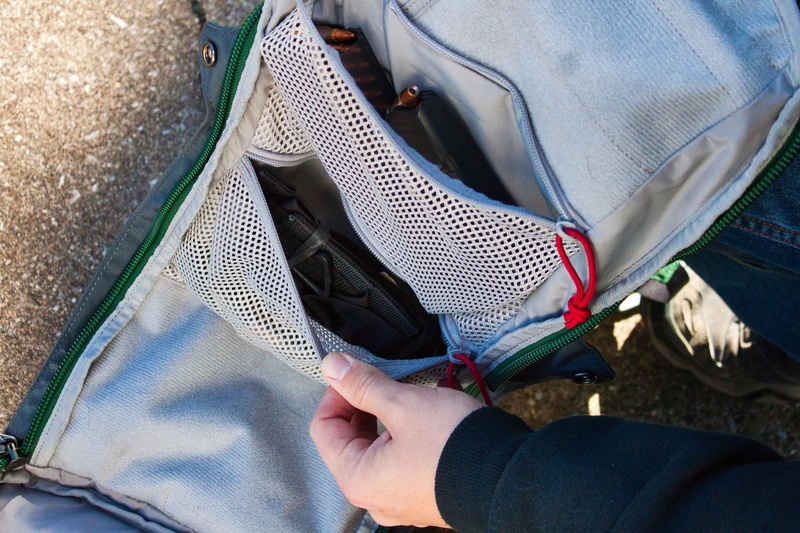 Compact, lightweight, and rugged, the Reflex Exoskeleton provides extreme protection for a wide variety of reflex optics. 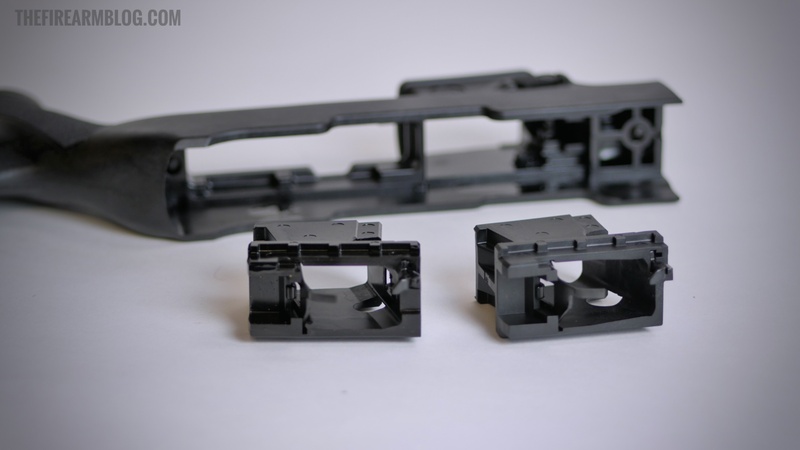 The precisely drilled holes in the mount enable users to attach various optics of their choice. 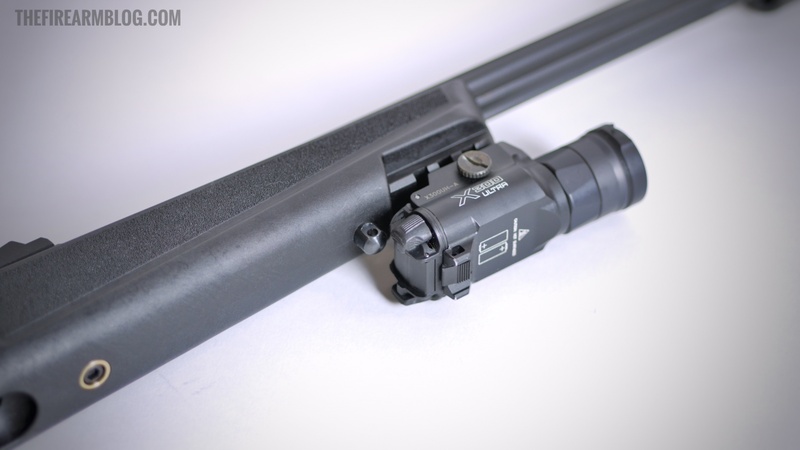 Included mounting posts securely hold your optic firmly in place – Strike Industries REX. In all, I put 300-400 rounds through the Ruger without issue. On my steel targets I used the Federal Syntech Range Ammo which I thought performed very well. Even though Syntech is subsonic in most pistols, the 16” barrel in the Ruger definitely gave it a speed boost. But I used a few 147gr ammo types to achieve very quiet suppression levels. 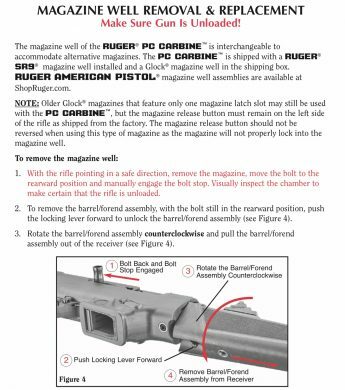 Although I spent most of my time with the PC Carbine using the GLOCK magazine well adapter, the Ruger well functioned without issue. 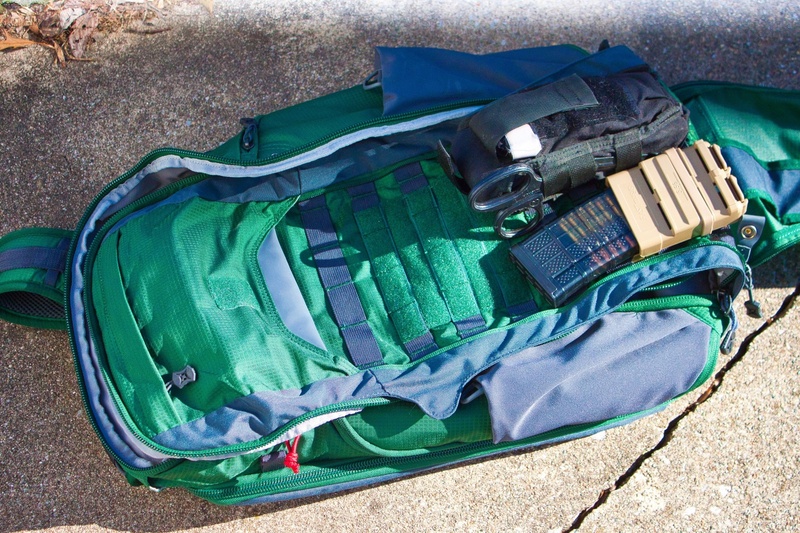 I used many versions of GLOCK mags, to include an older “ban era” variety, a Gen 3/4 Style that included a G26 and G18 capacities and the new Gen 5 magazines. Reload, round feeding and ejection were all spot on. 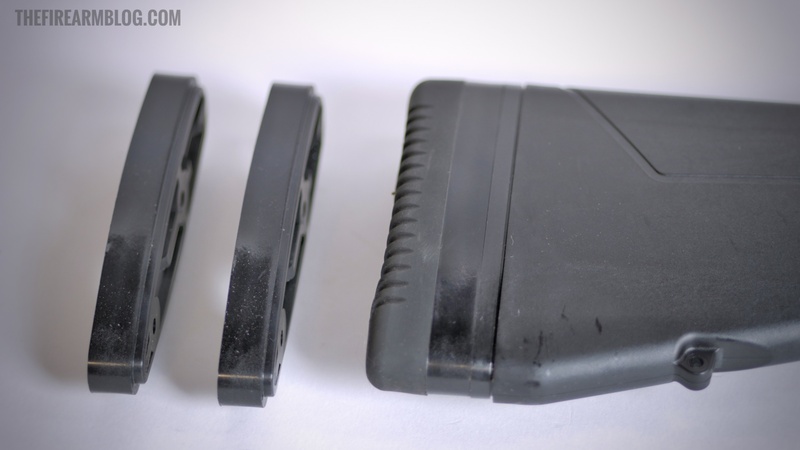 Empty magazines also drop free without concern. 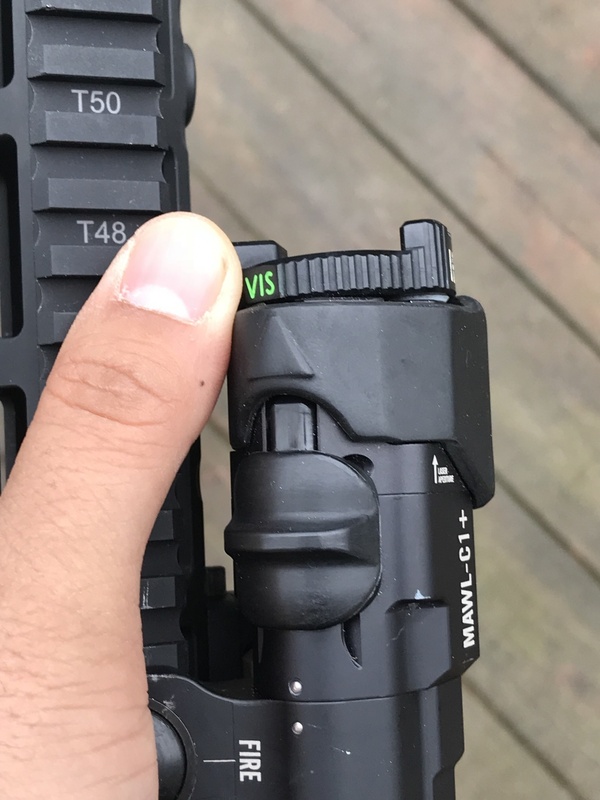 Accuracy was a generic and unscientific 2-3 MOA from a seated and supported position using a non-magnified re dot from the RMR. 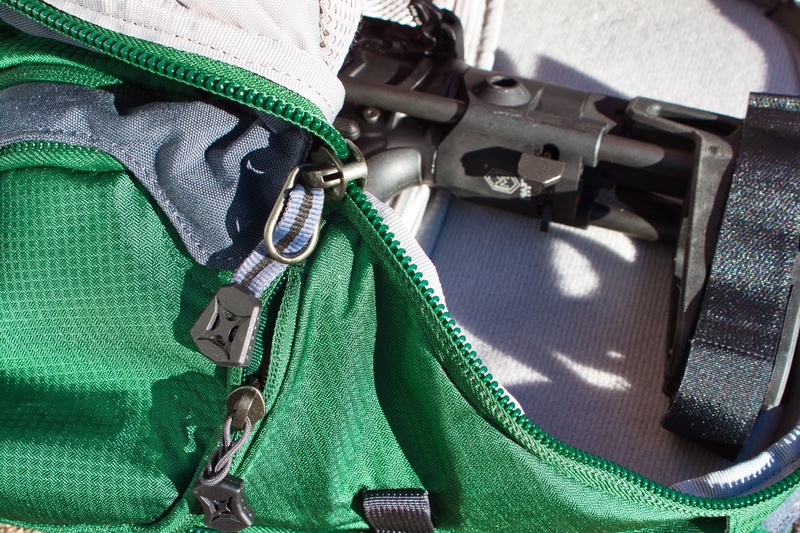 Better shooters with magnified optics and the right ammo pairing will undoubtedly drop group sizes to excellent levels. 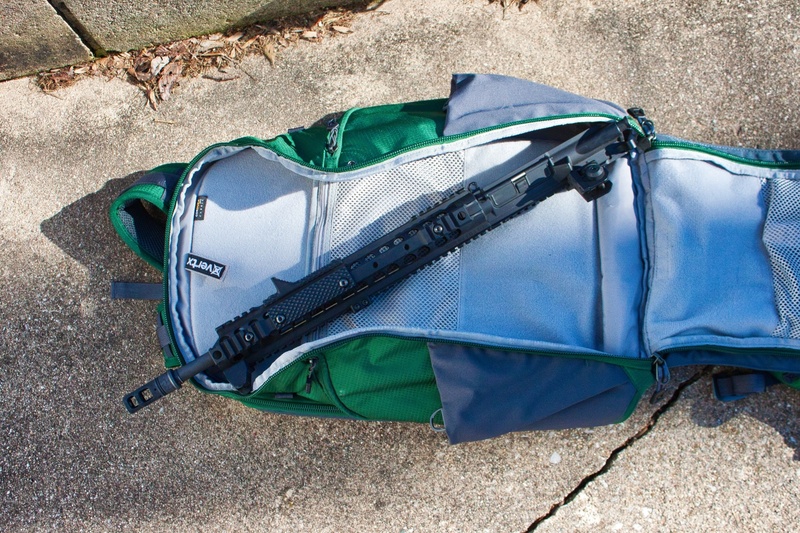 But the PC Carbine at its core is not a bench rest or target shooter. And besides small game and pest control, I see it’s hunting role as limited. Recoil is easily manageable by anything but the smallest of shooters, especially when running suppressed or using the Syntech ammo. 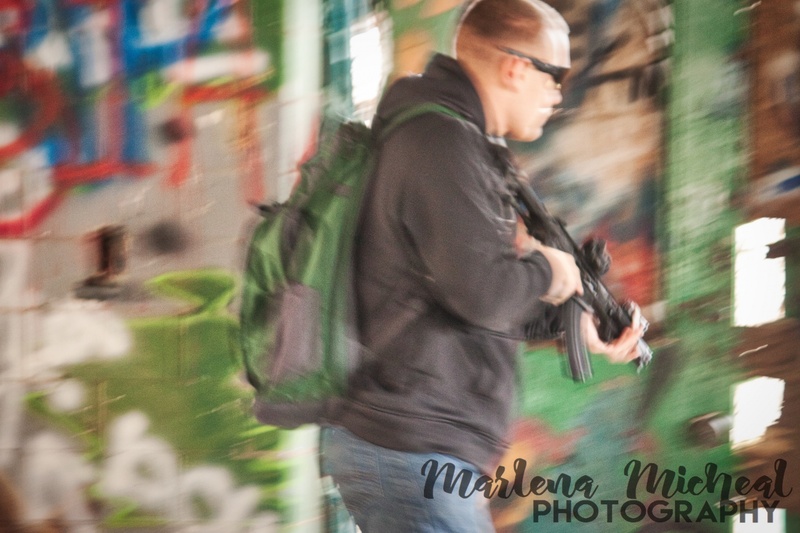 Follow up shots are quick and re-acquiring the sights or red dot after a shot is easy to do. 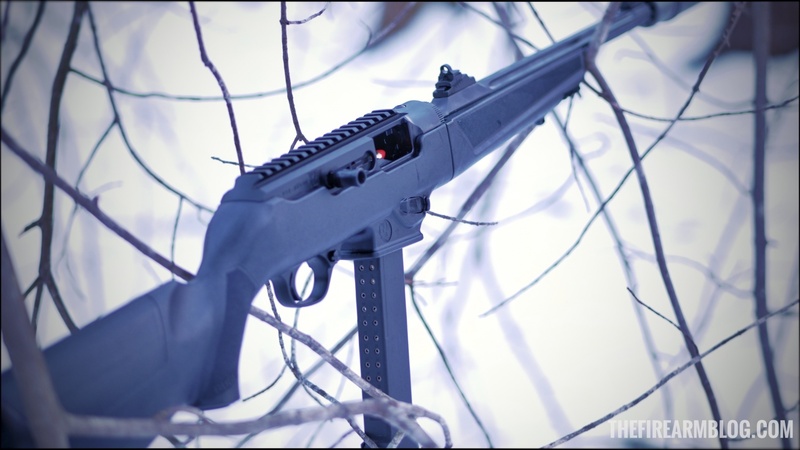 Overall, the Ruger PC Carbine is a winning package that offers a good host of options and accessories for an accessible retail price. 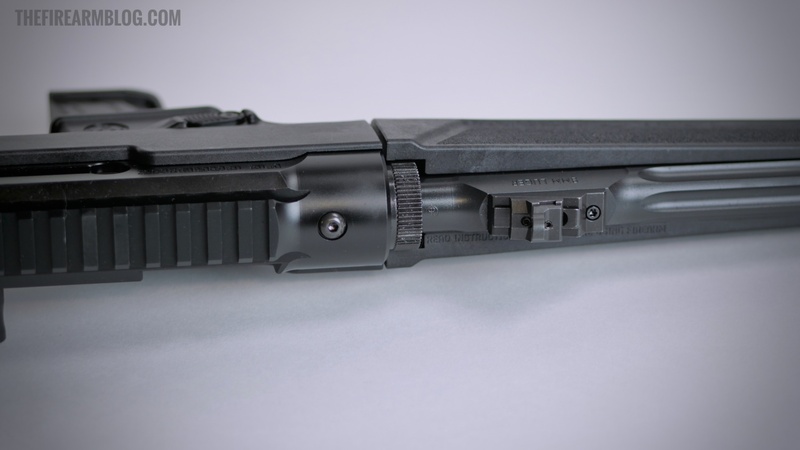 GLOCK magazine capability, a threaded barrel, reversible controls and 10/22 trigger group compatibility alone make this long gun worthy of a ‘buy’. 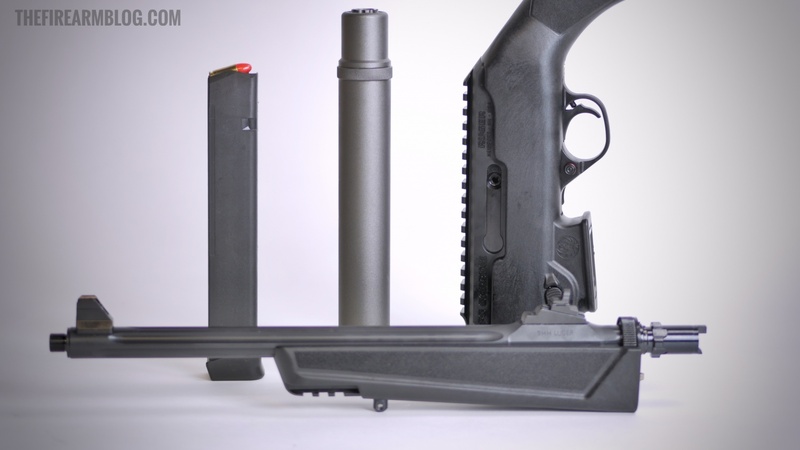 But the aftermarket possibilities really have me excited: magazine well options will obviously increase, but the idea of a Magpul Backpacker-Style stock and integrally suppressed barrel assembly is awesome. 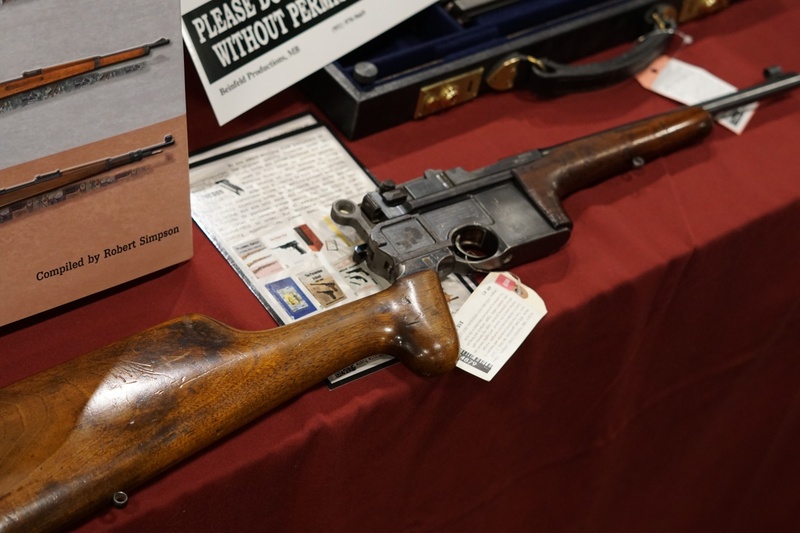 Ruger did a great job with this gun and I’m looking forward to seeing what is coming up next from the classic Granite State firearm manufacturer.